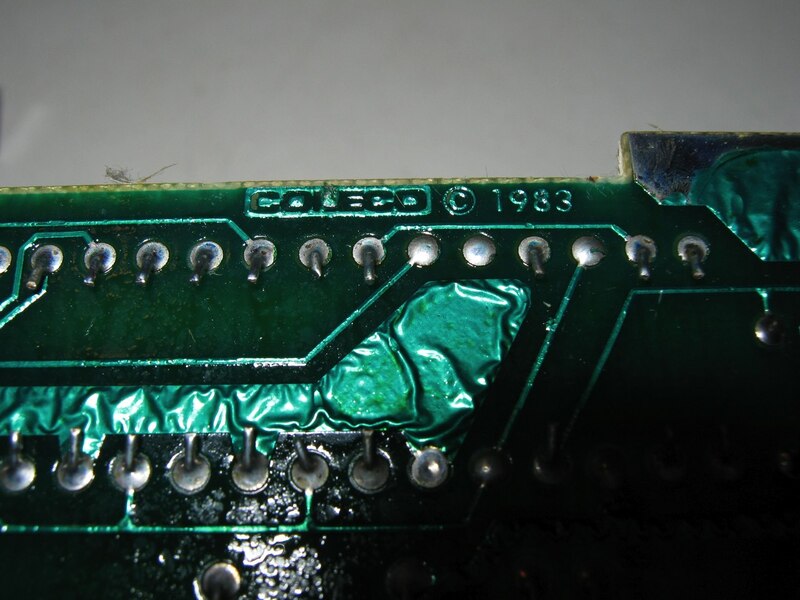 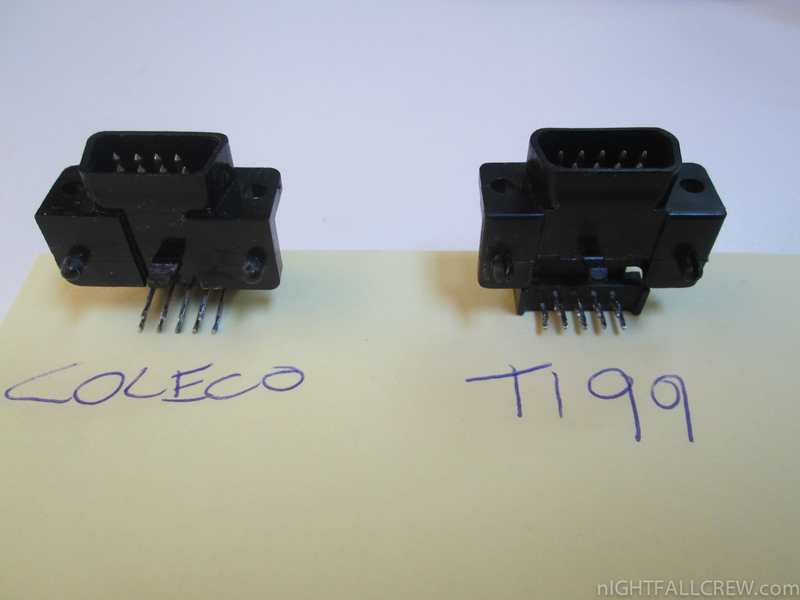 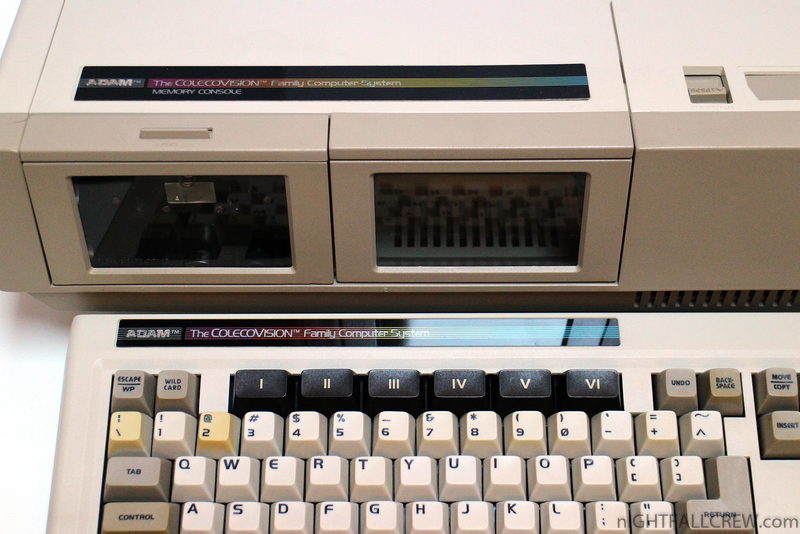 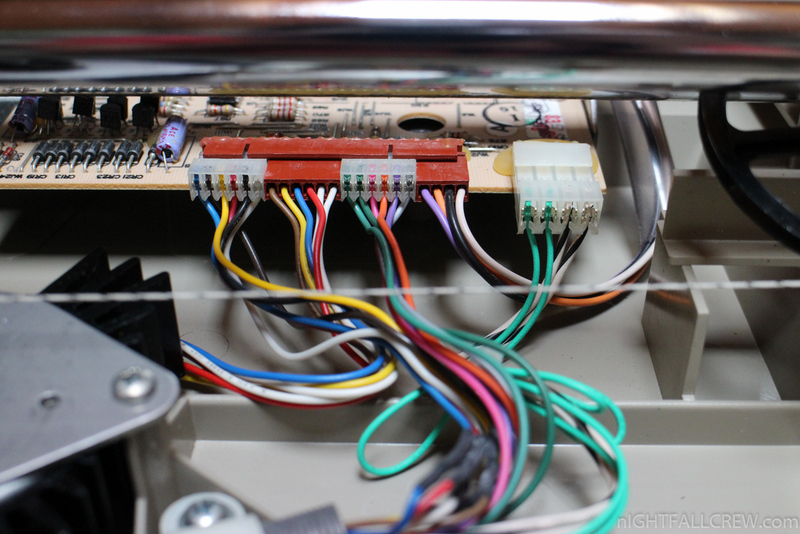 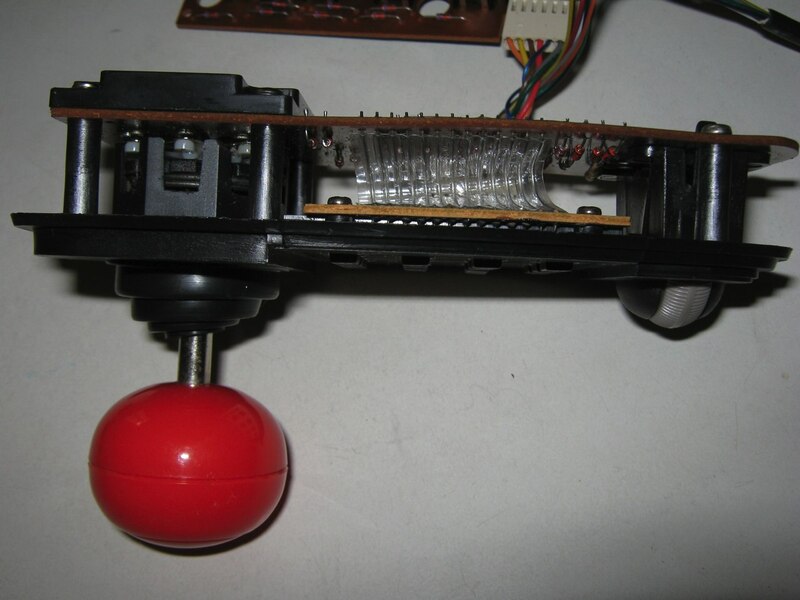 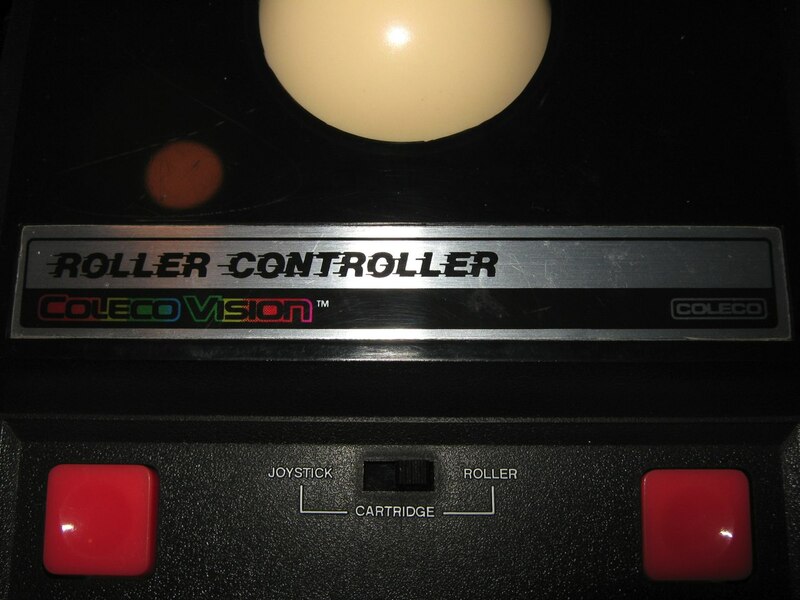 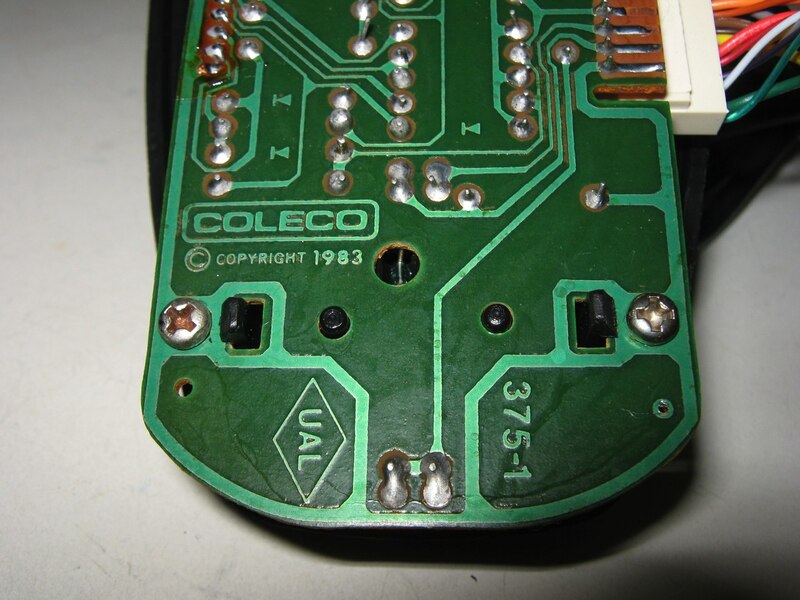 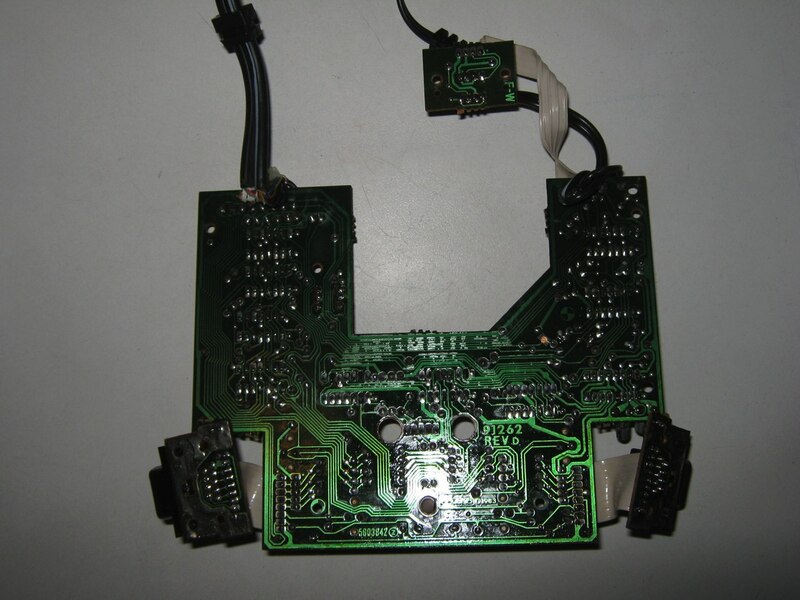 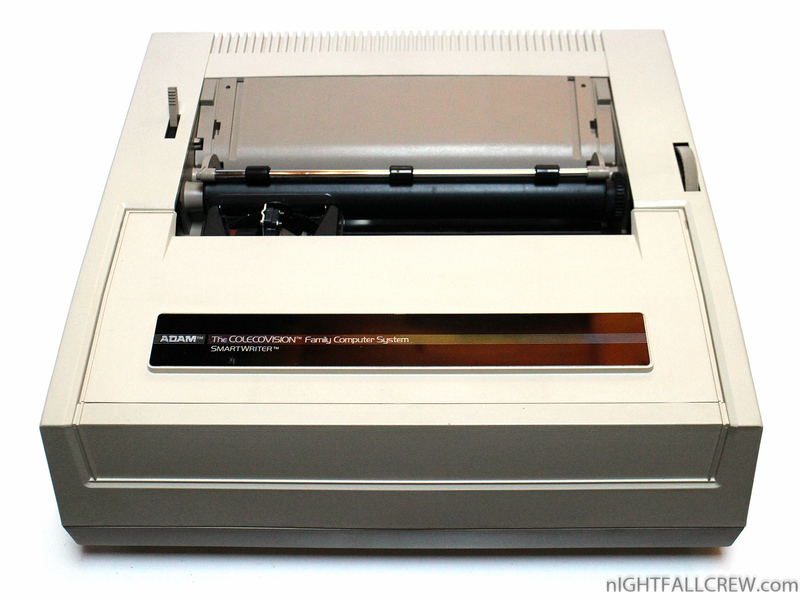 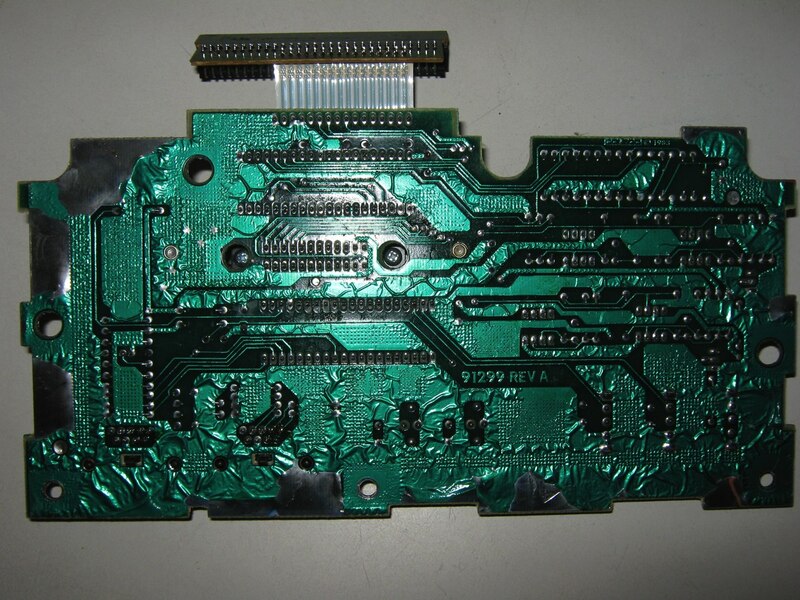 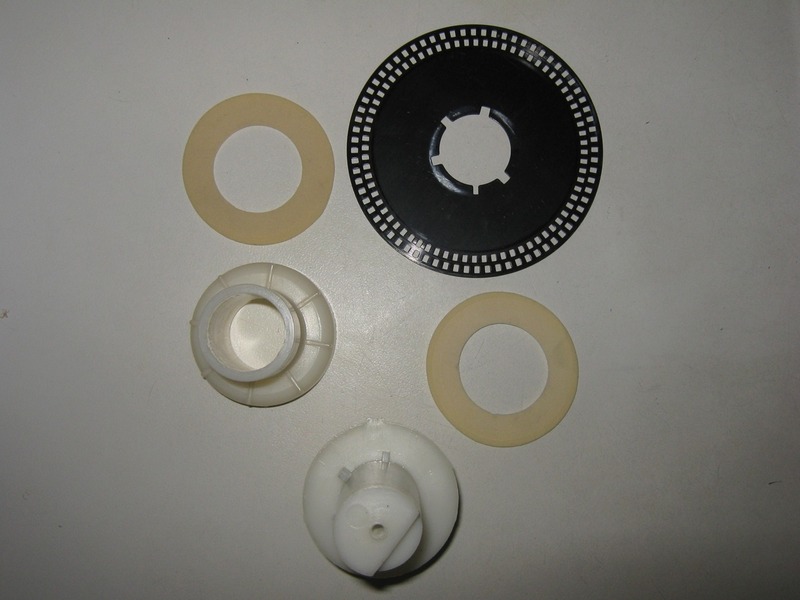 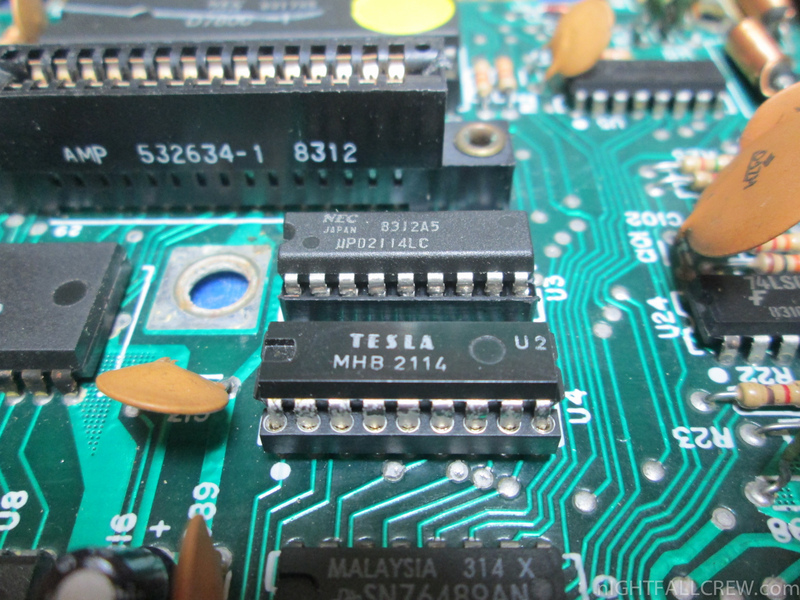 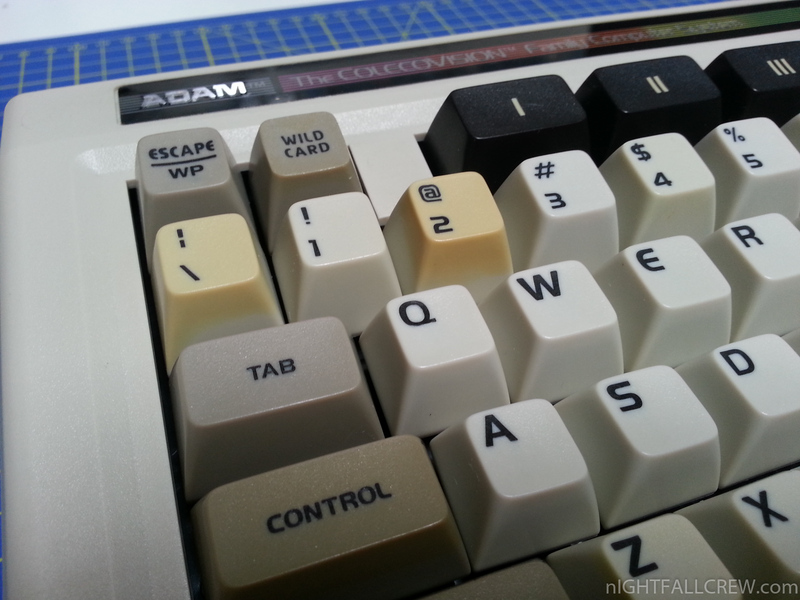 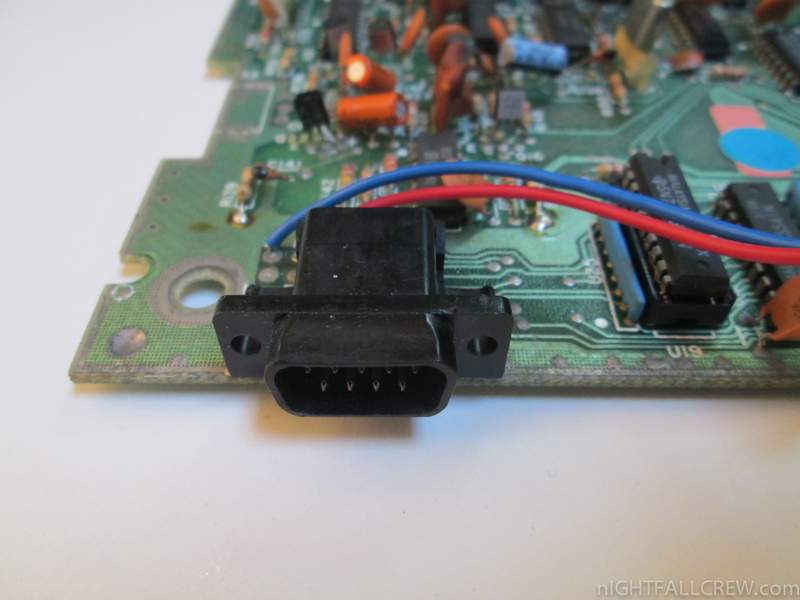 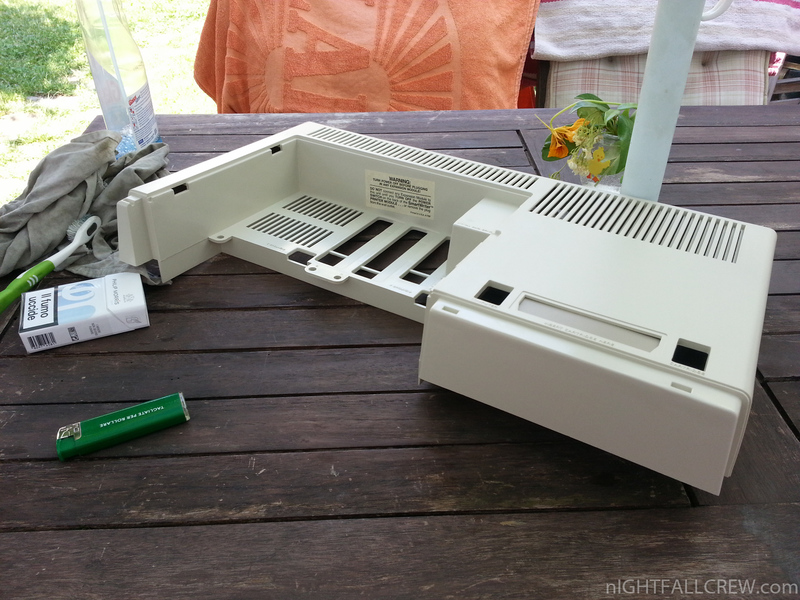 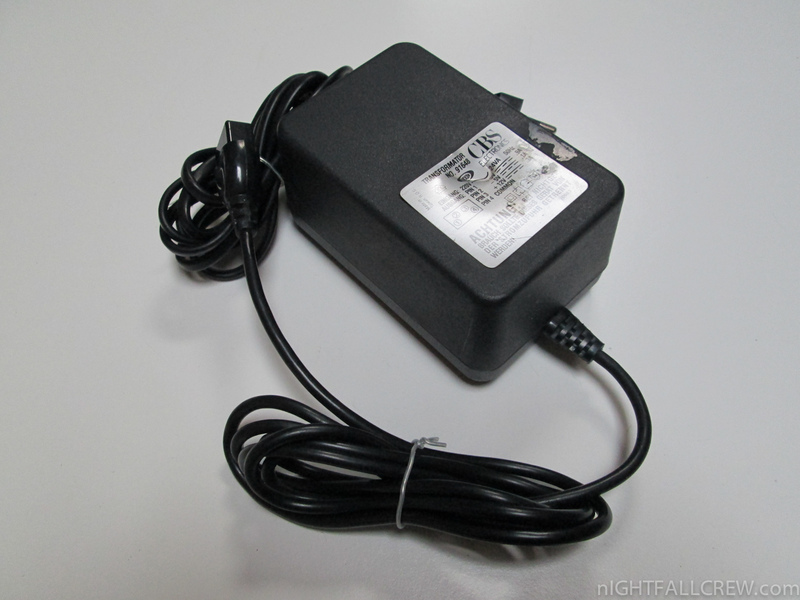 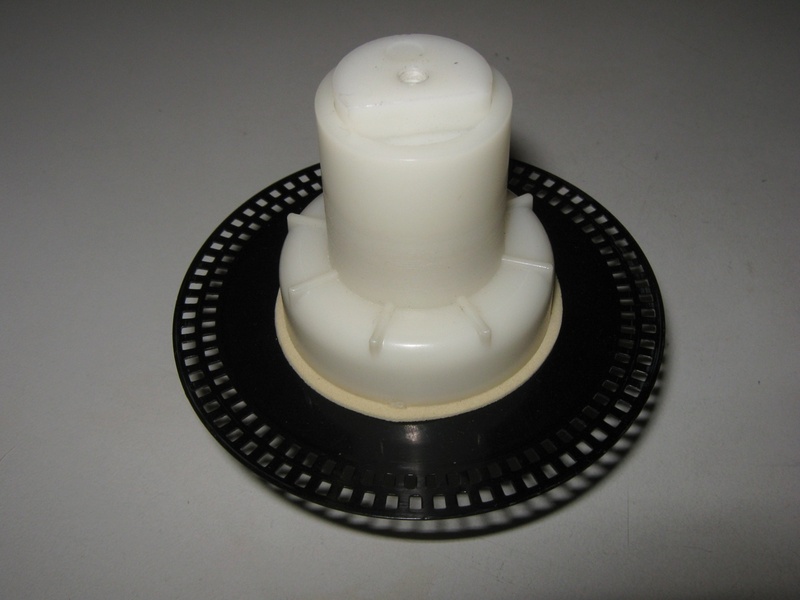 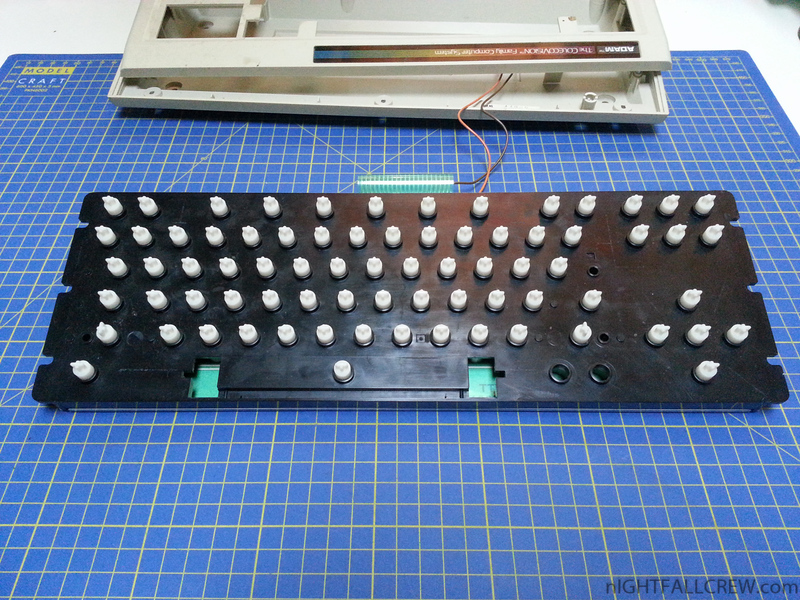 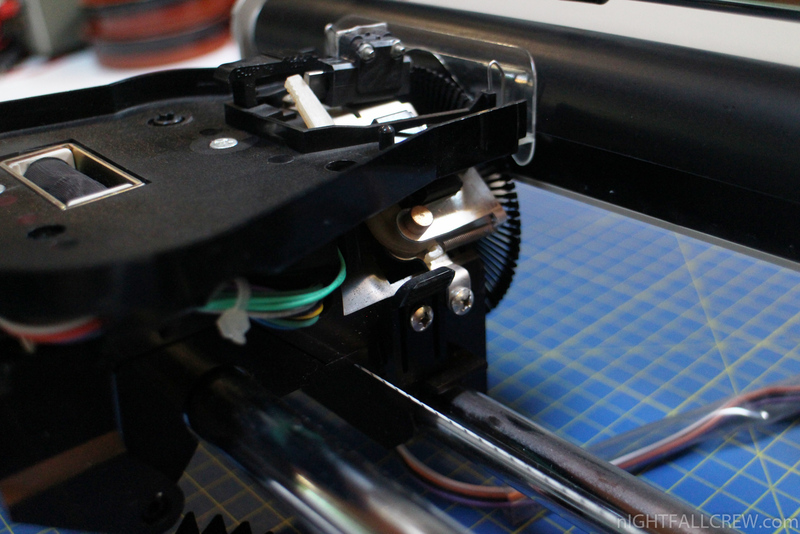 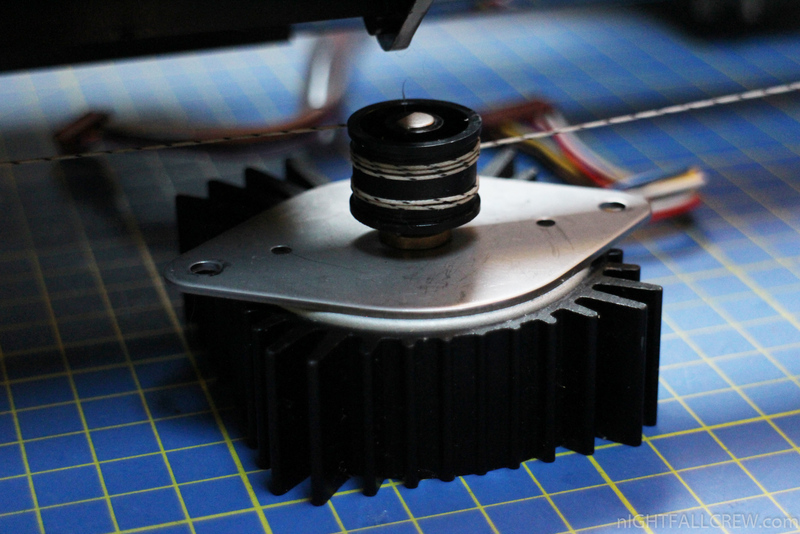 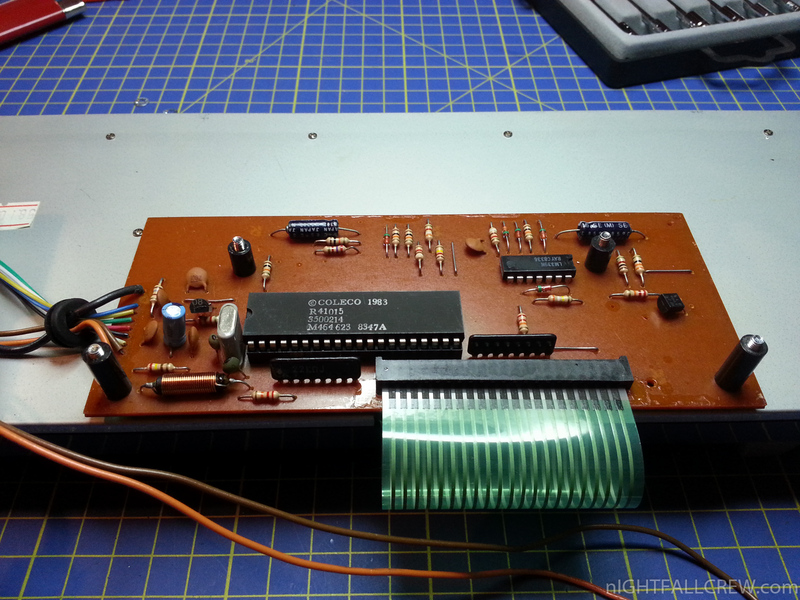 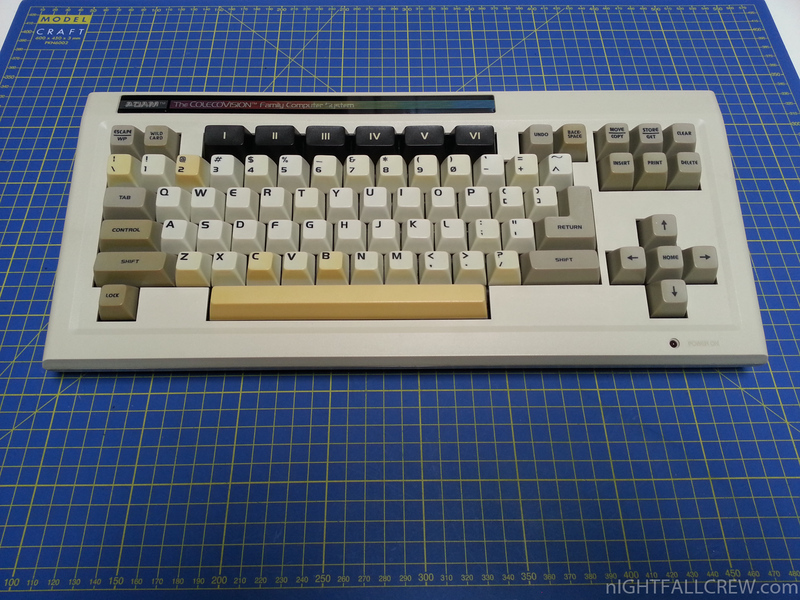 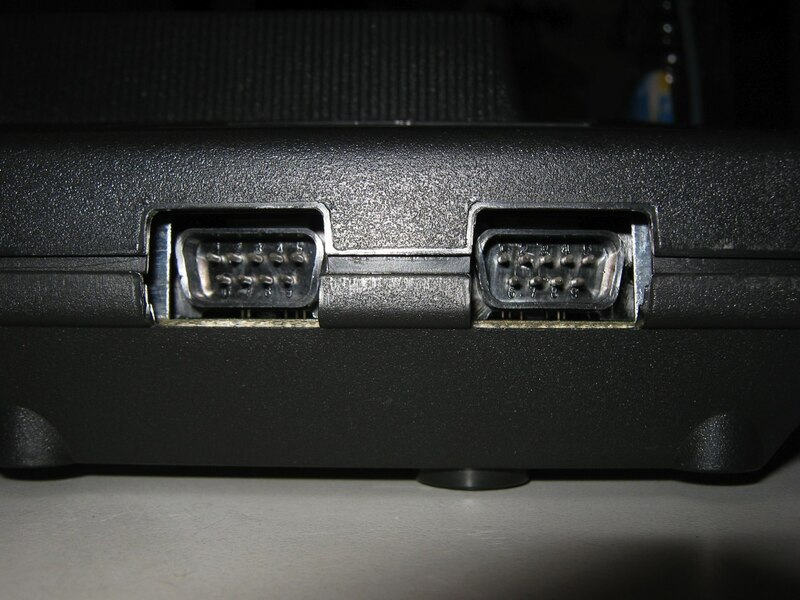 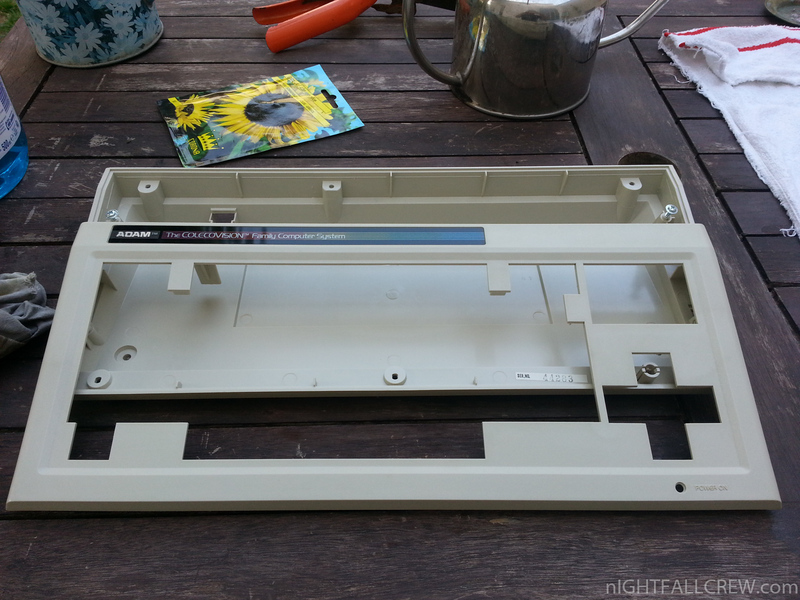 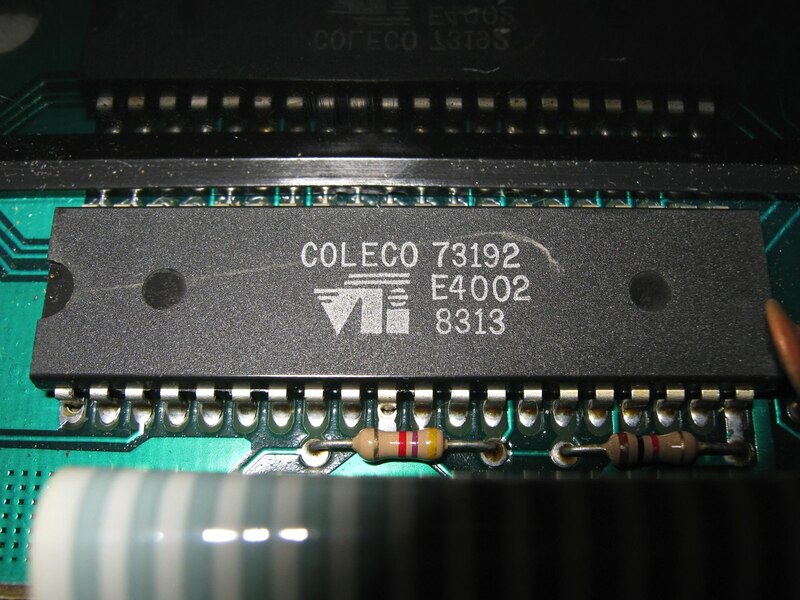 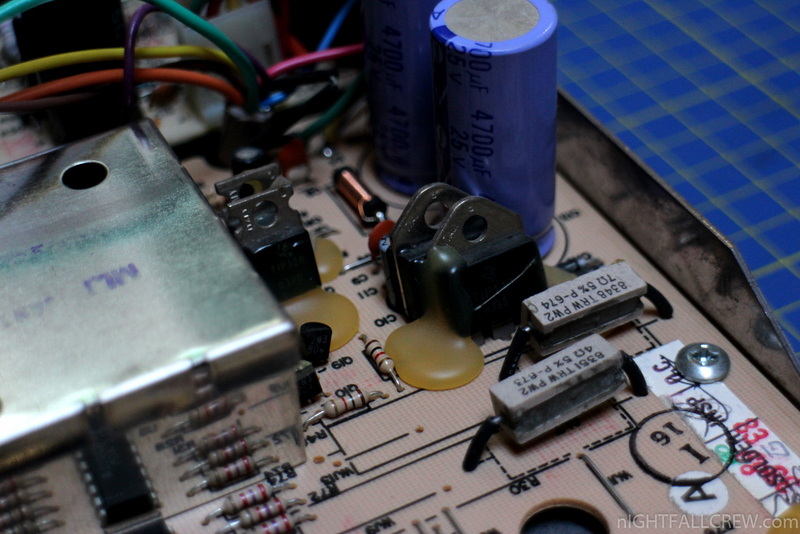 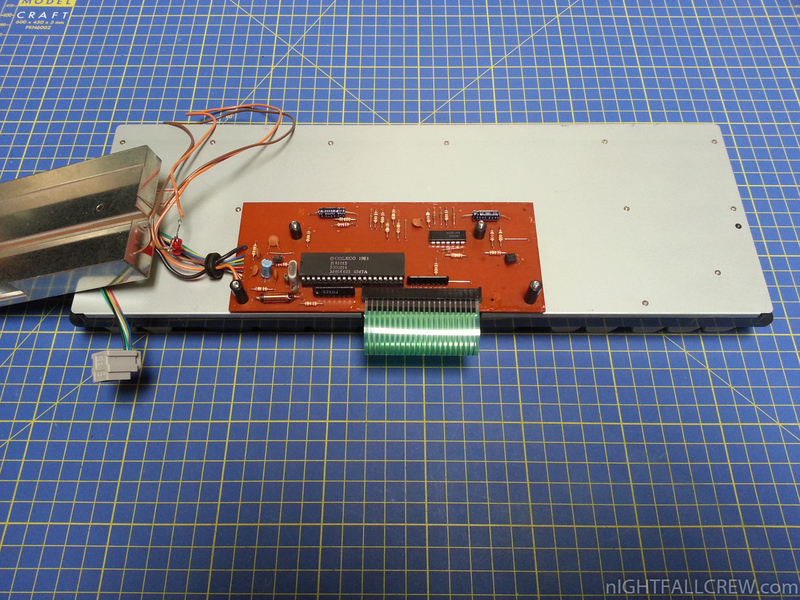 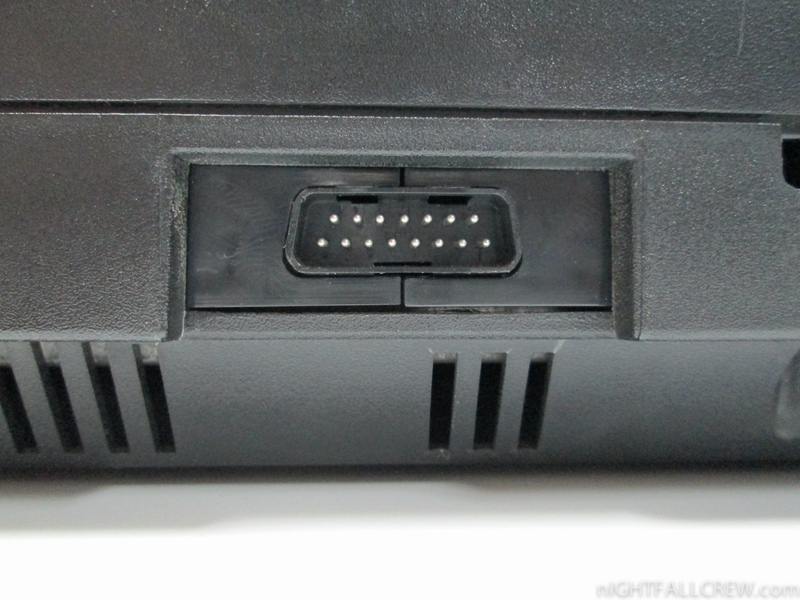 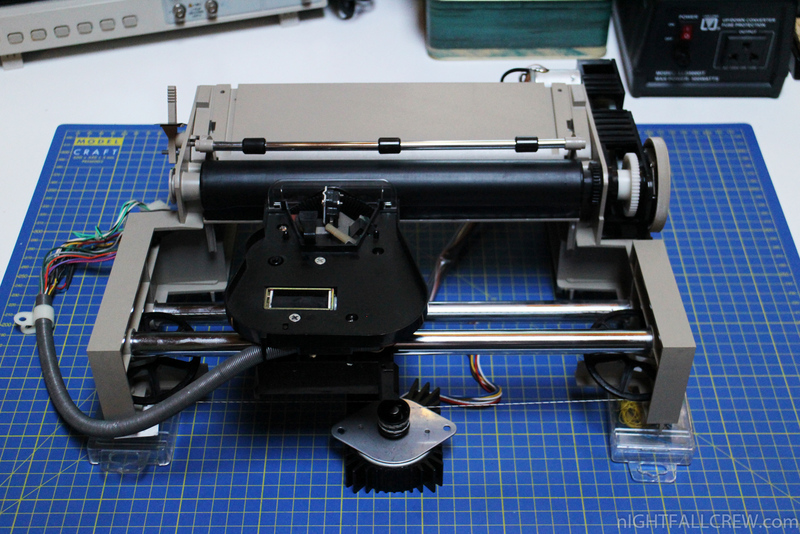 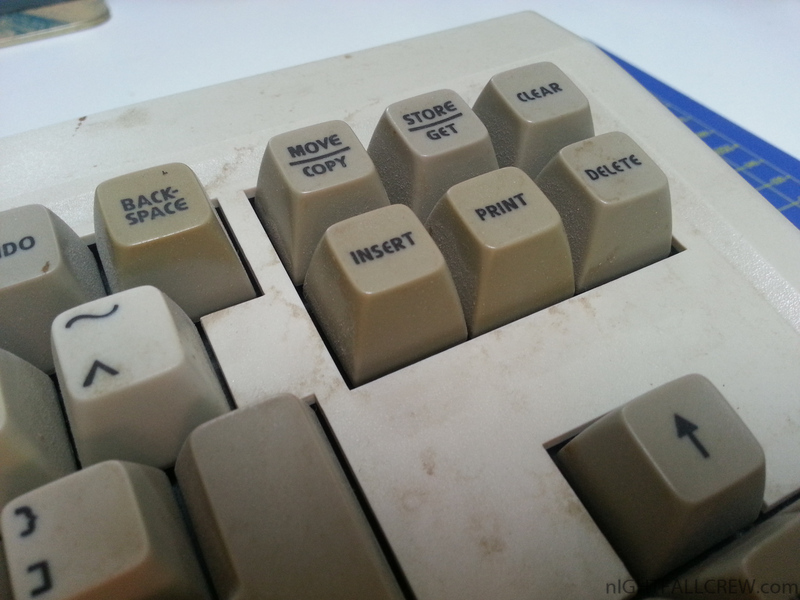 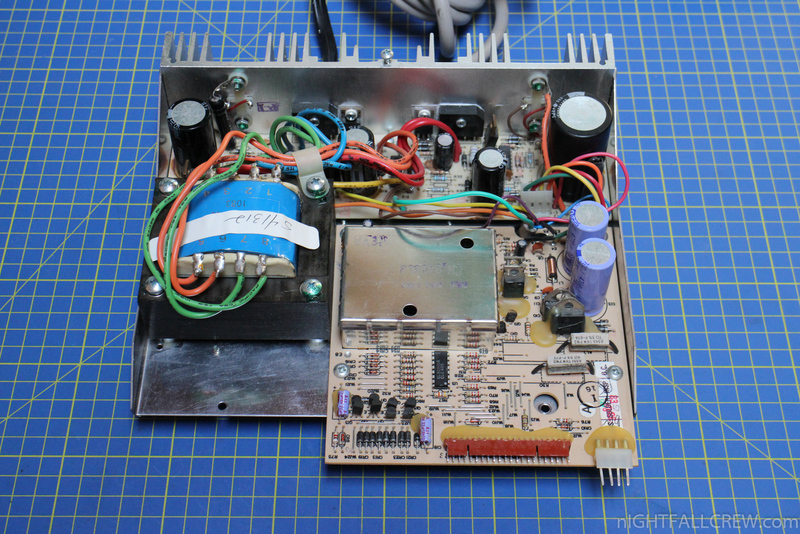 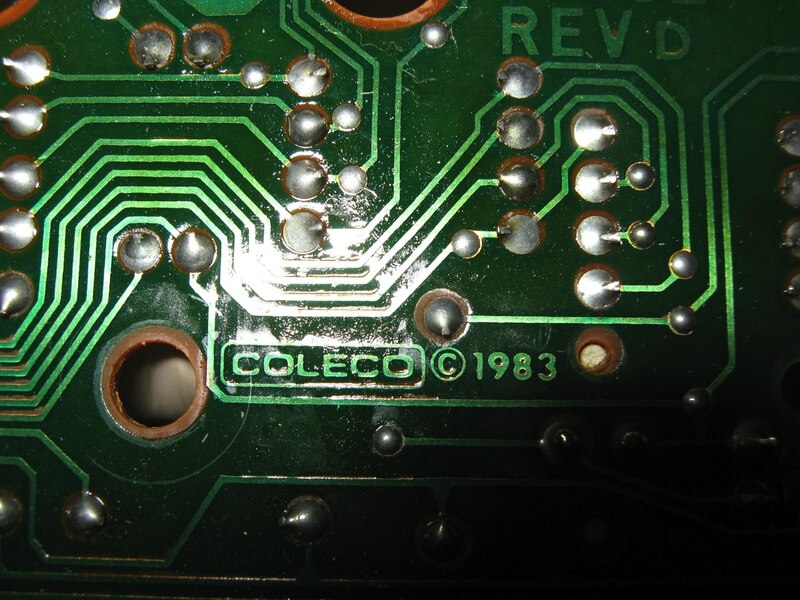 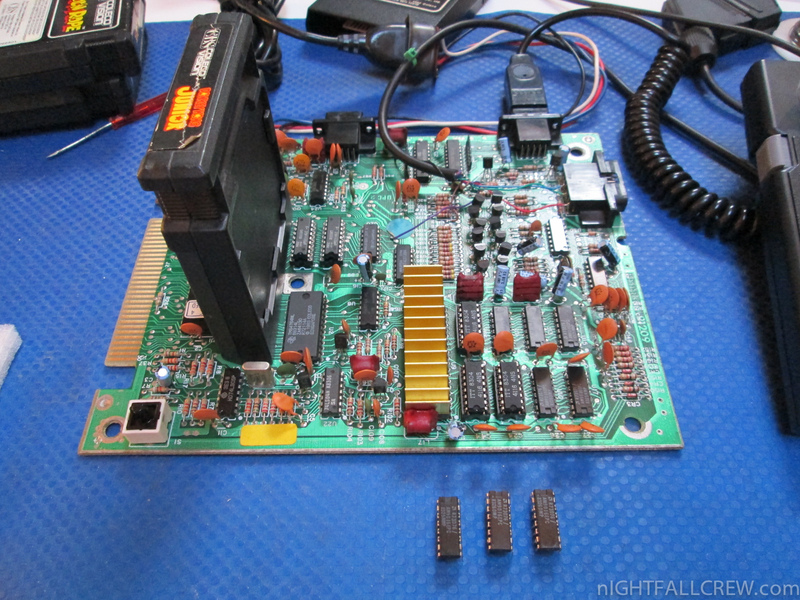 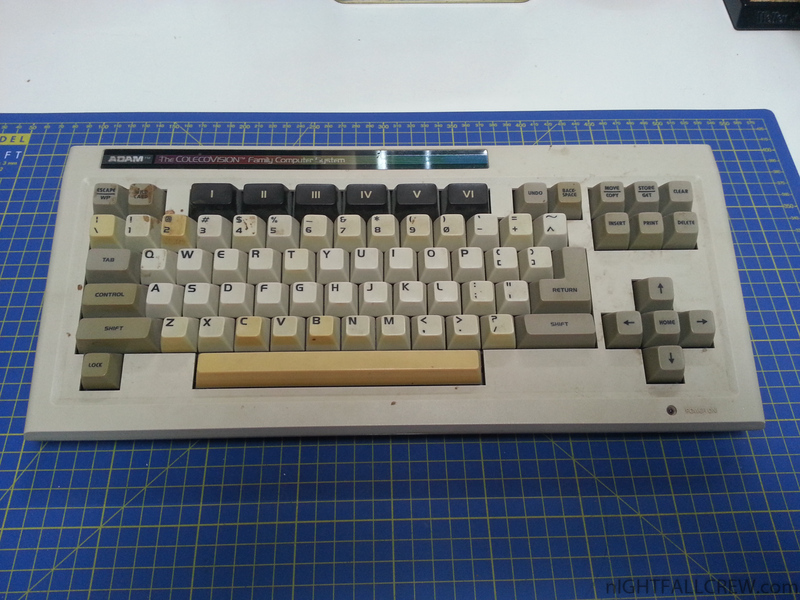 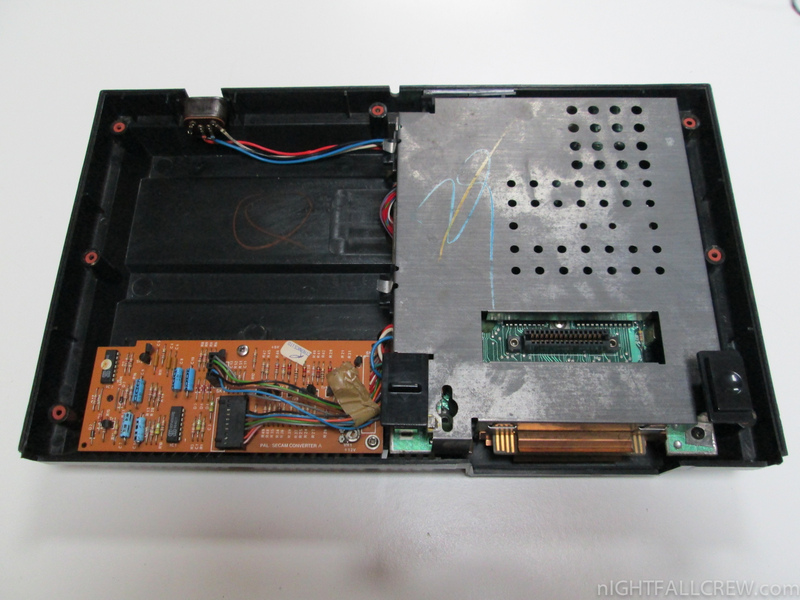 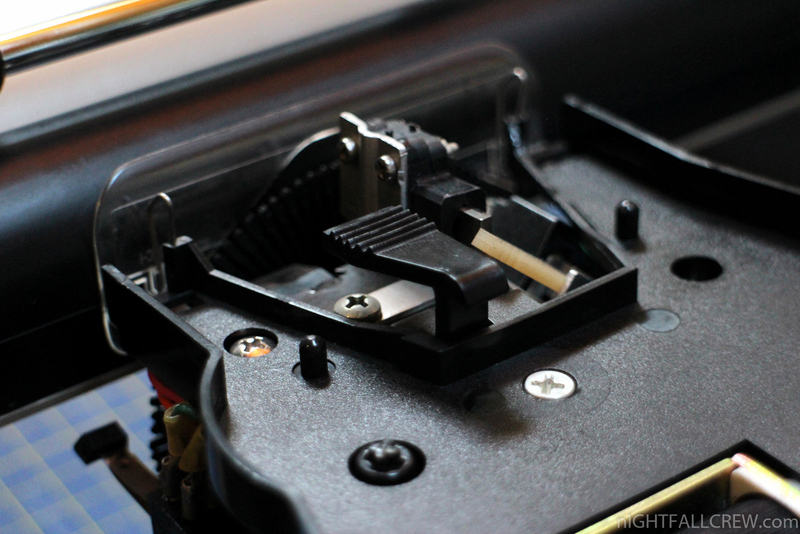 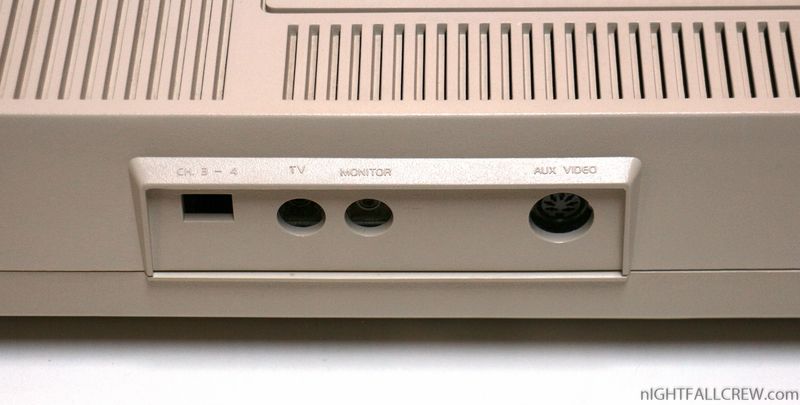 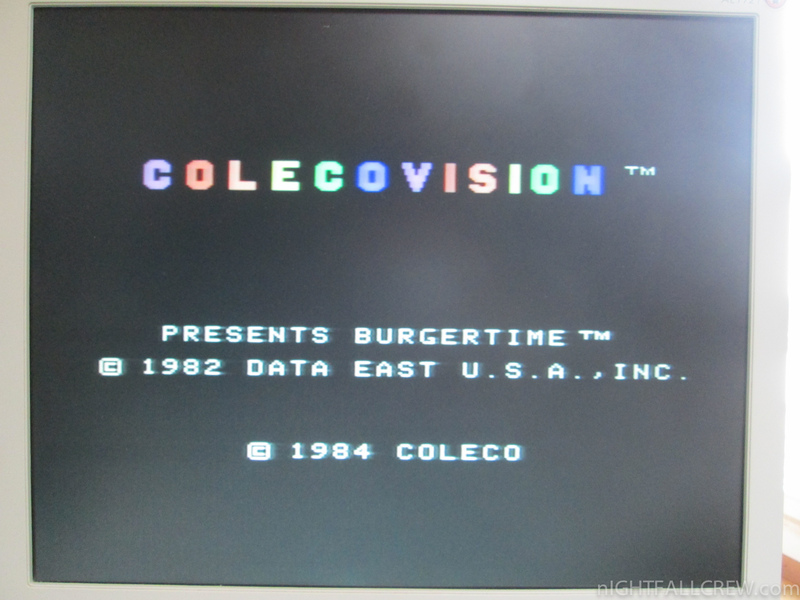 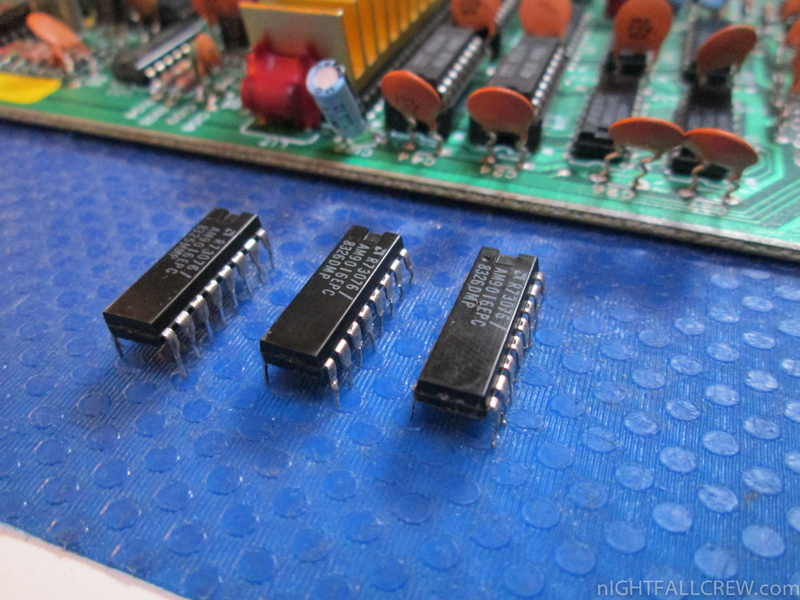 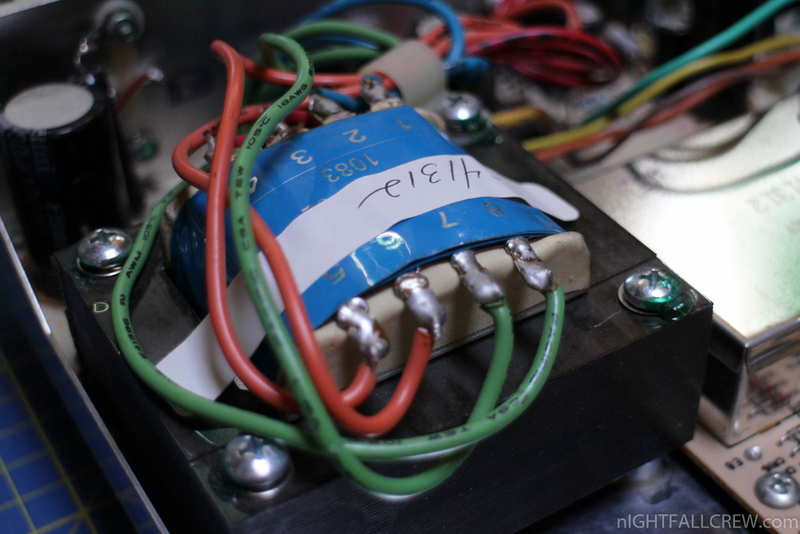 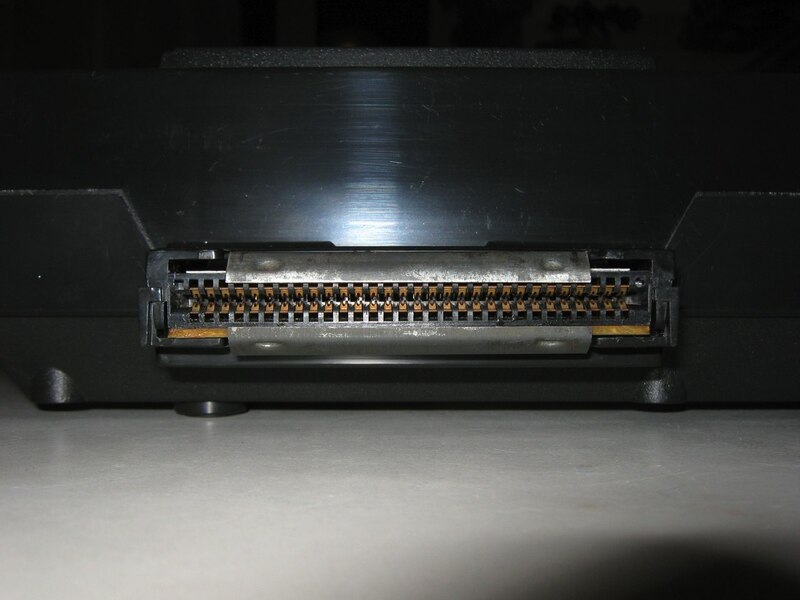 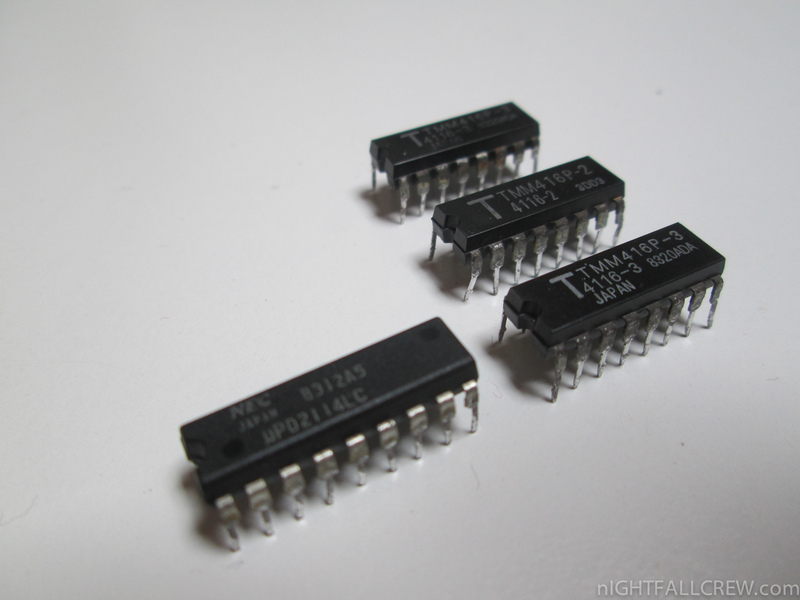 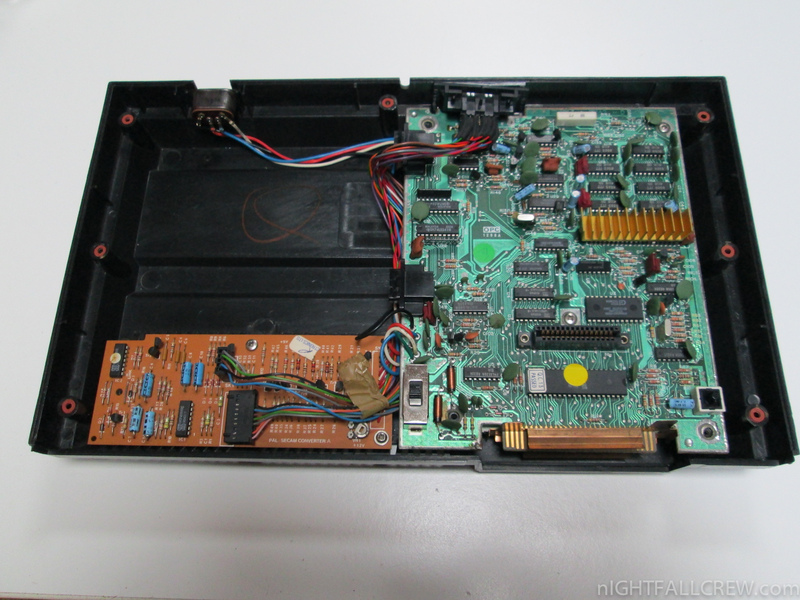 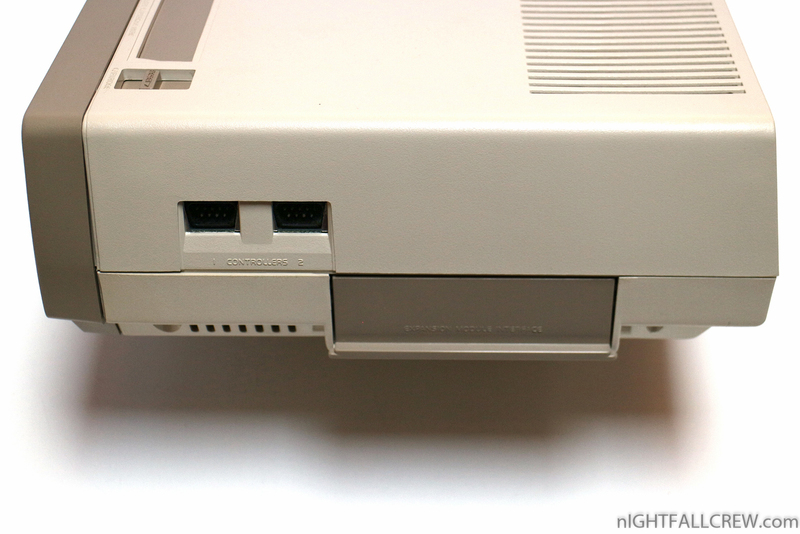 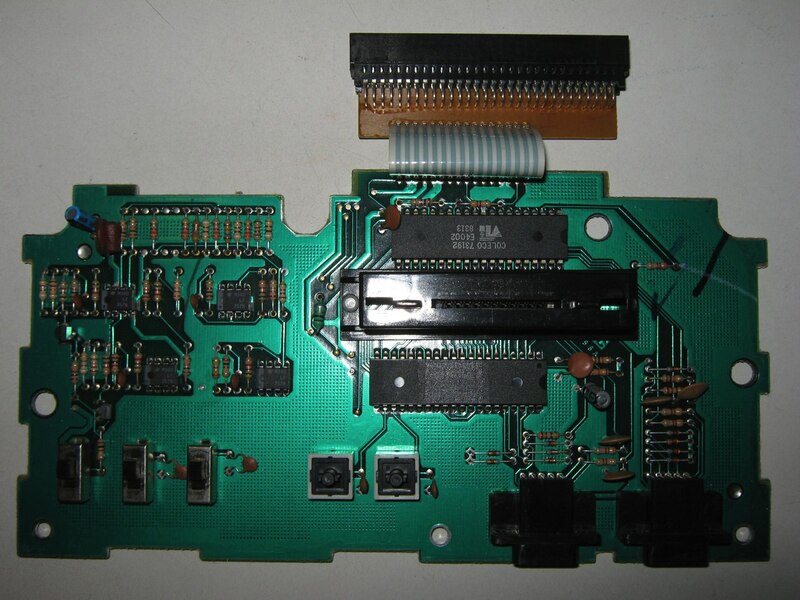 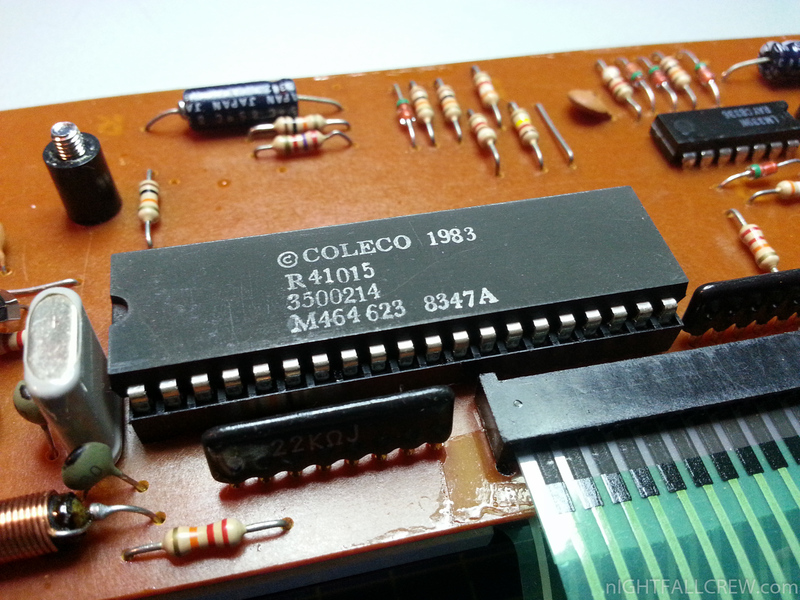 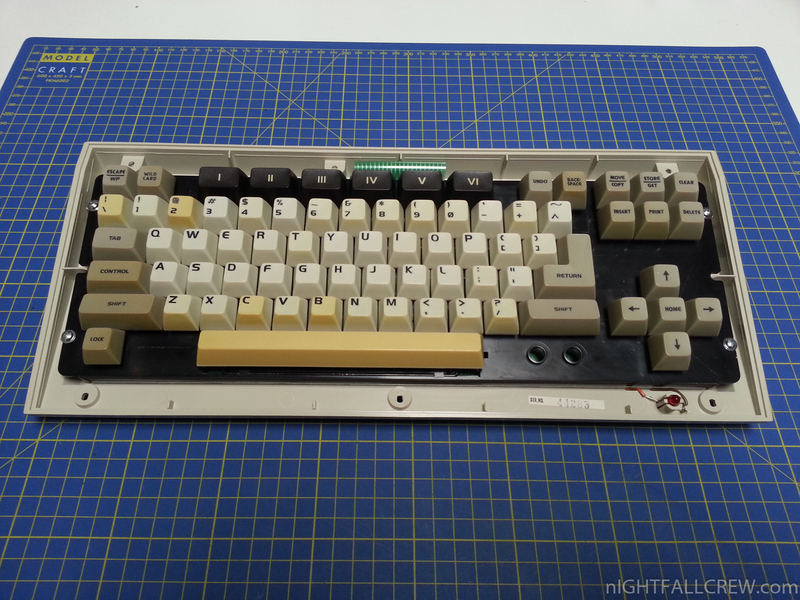 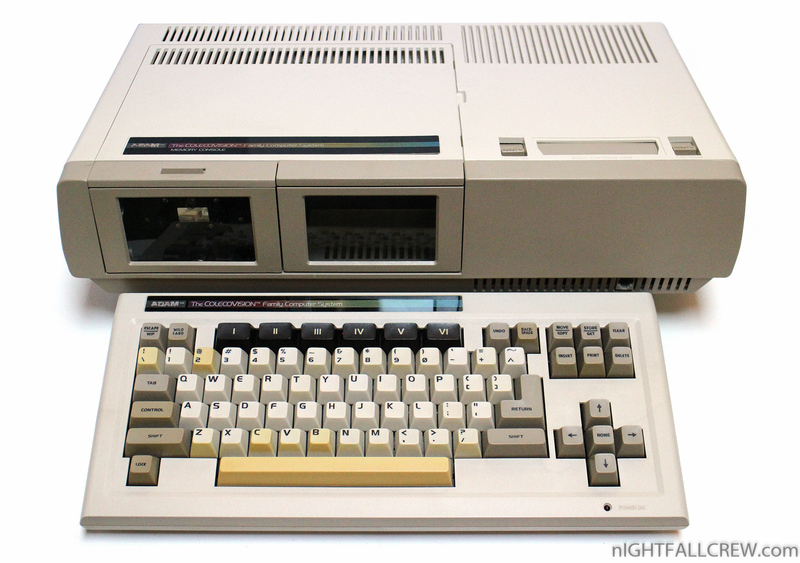 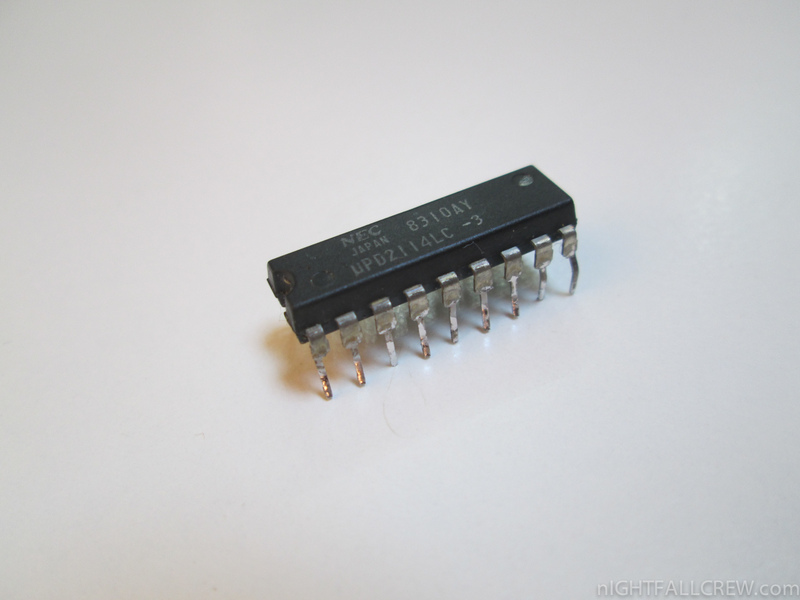 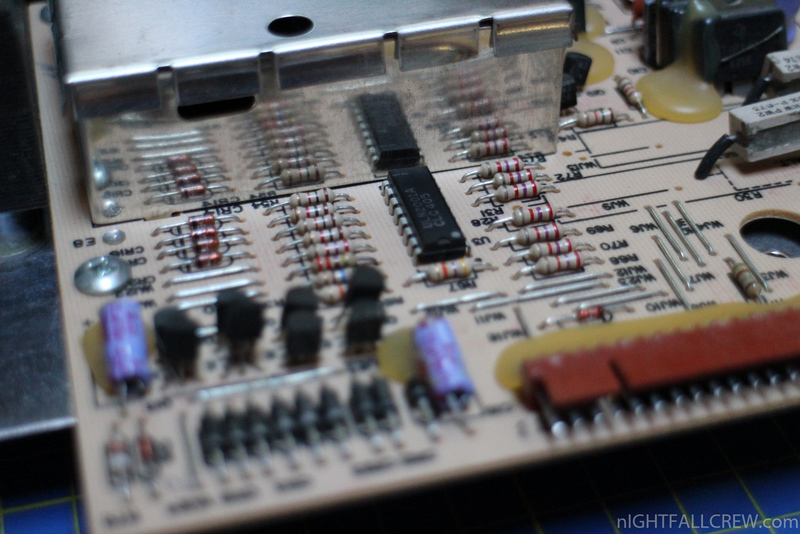 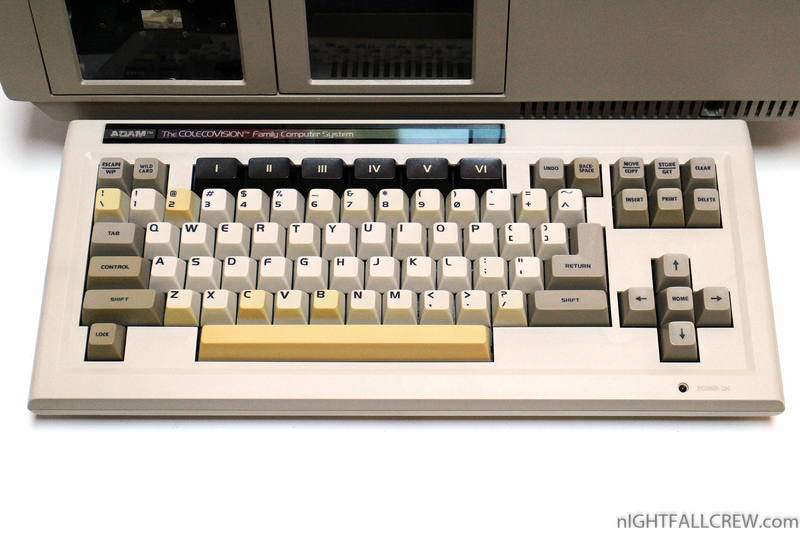 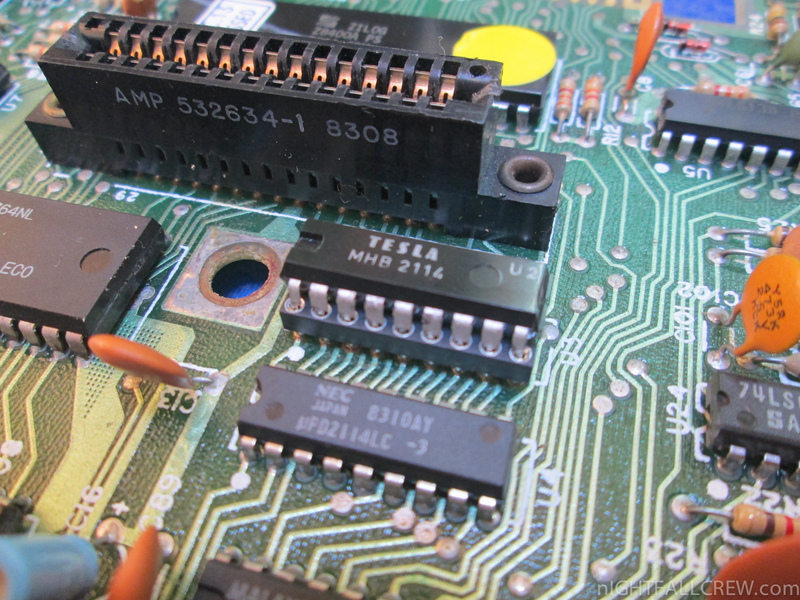 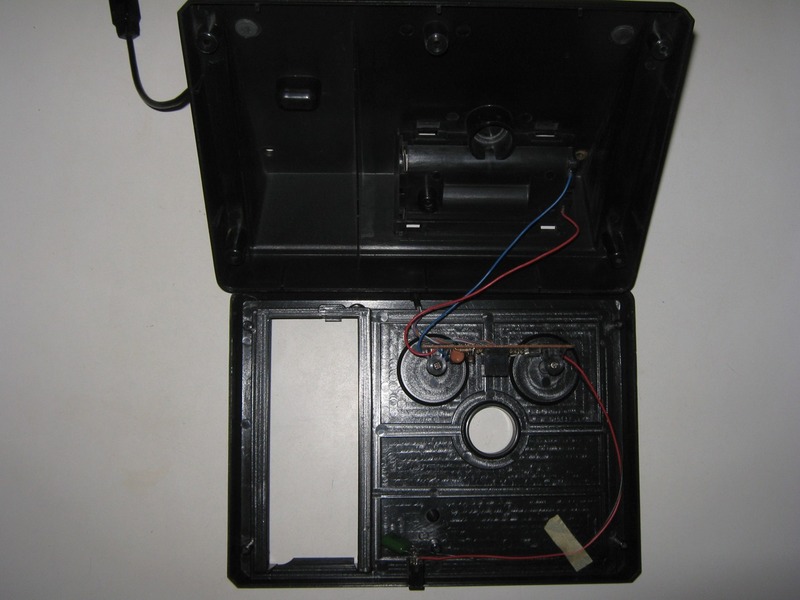 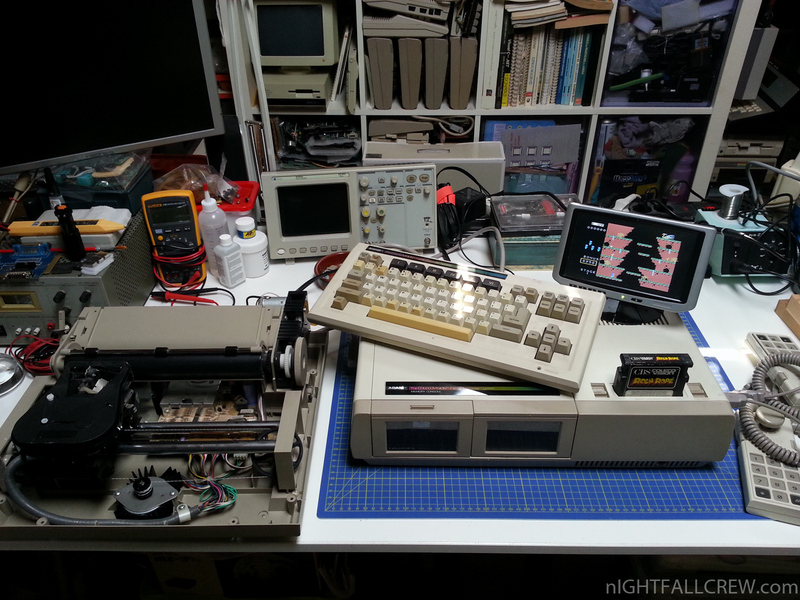 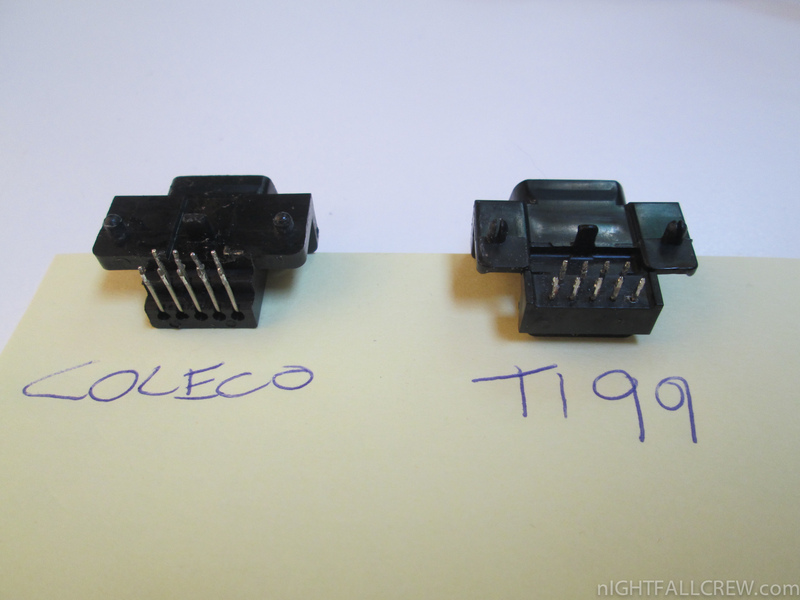 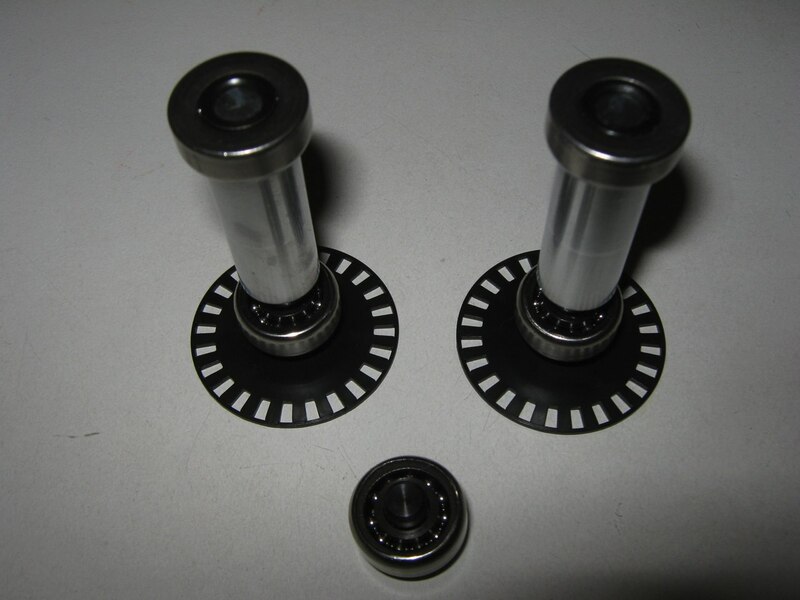 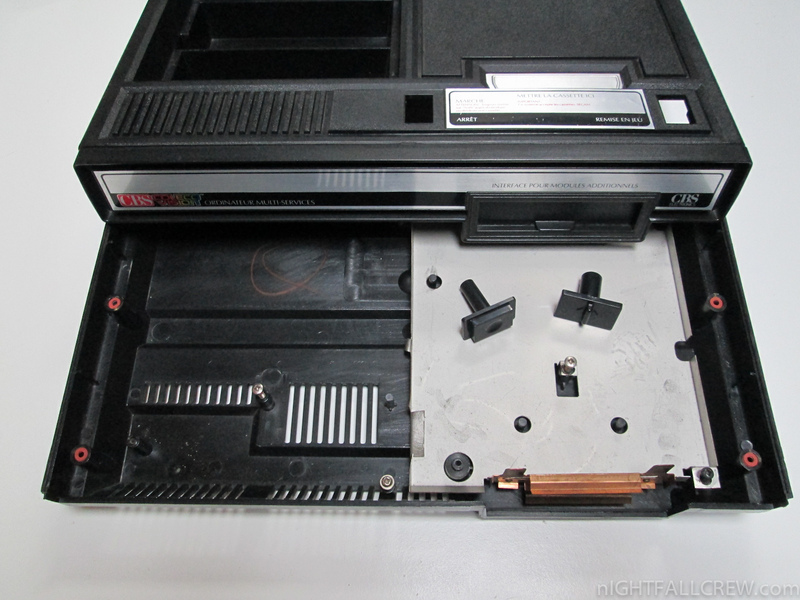 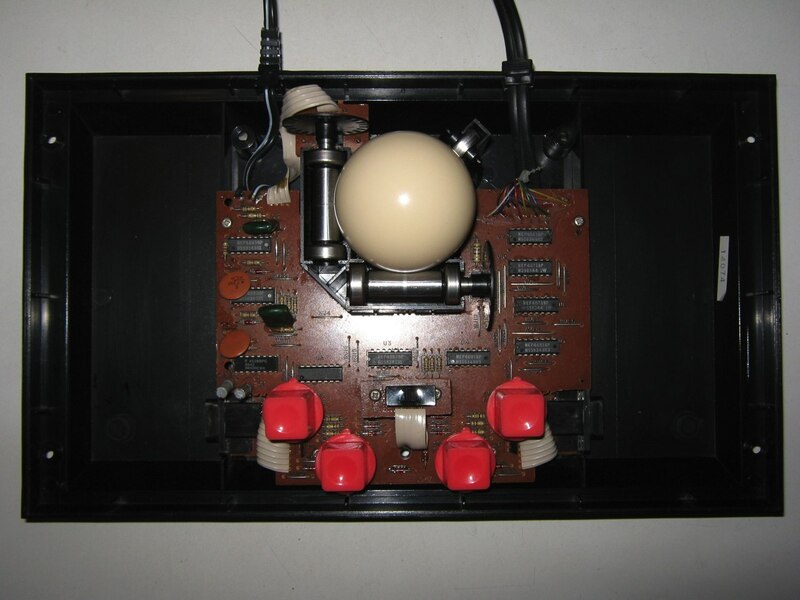 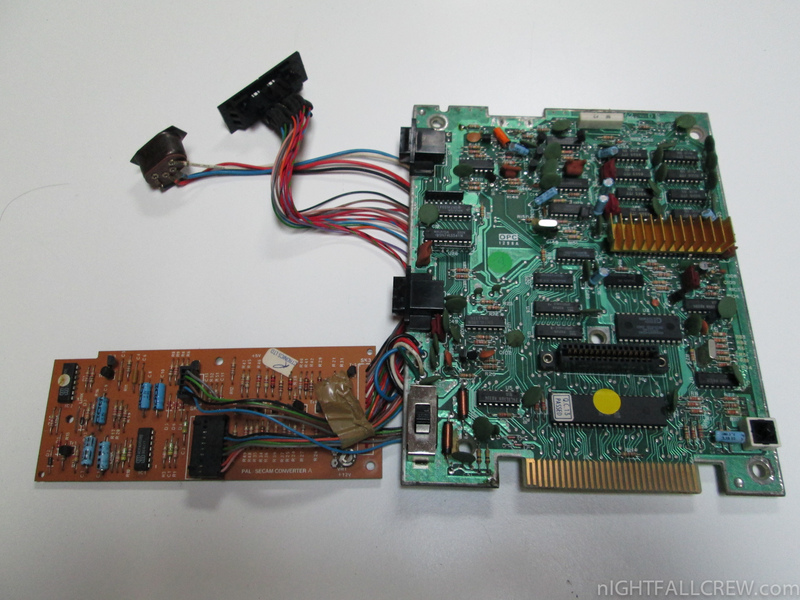 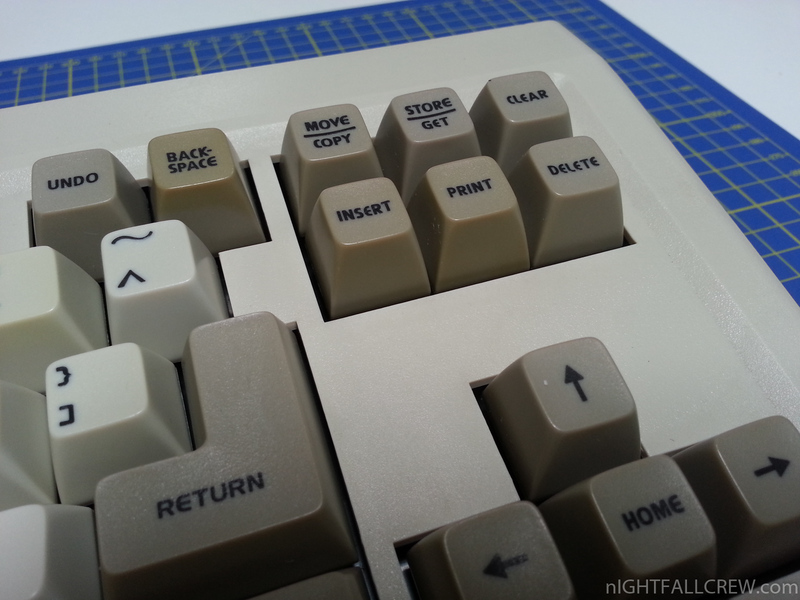 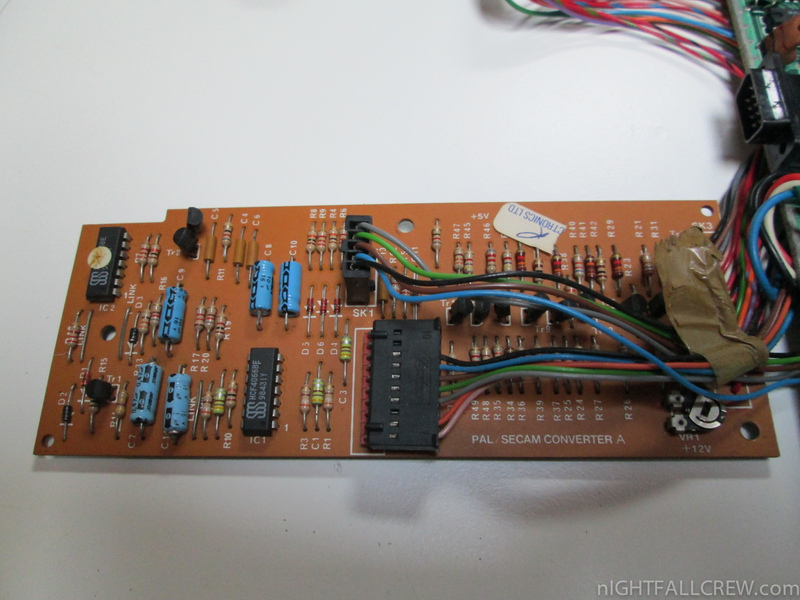 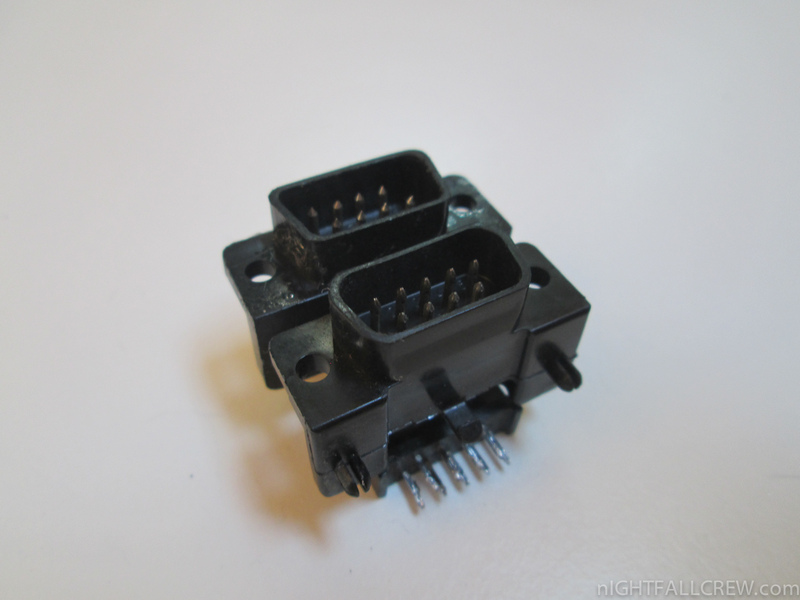 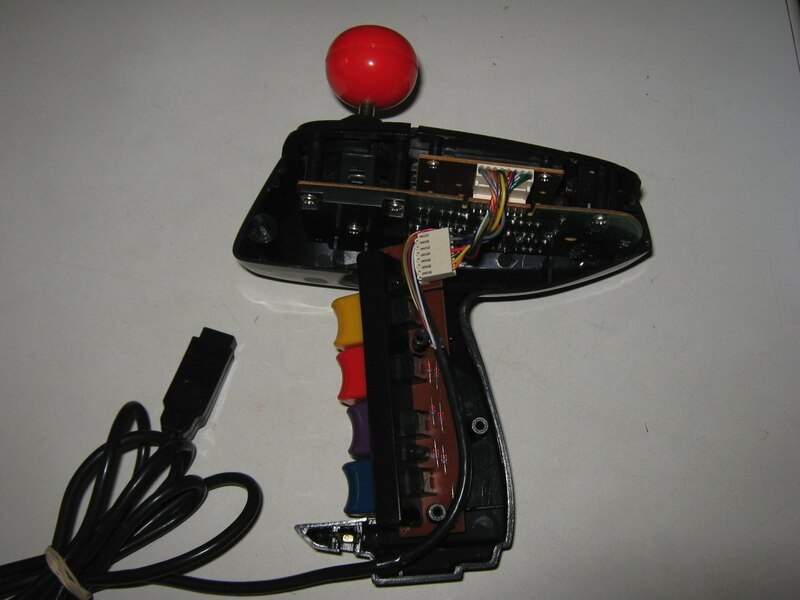 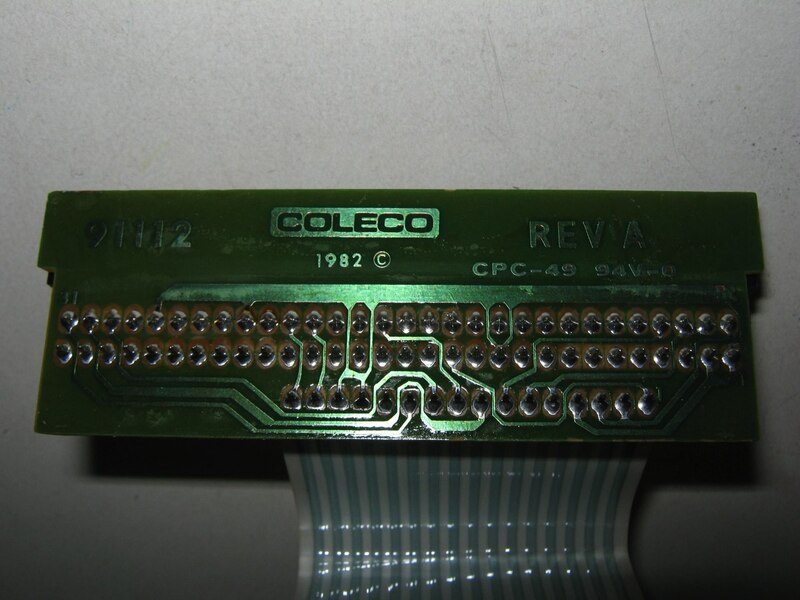 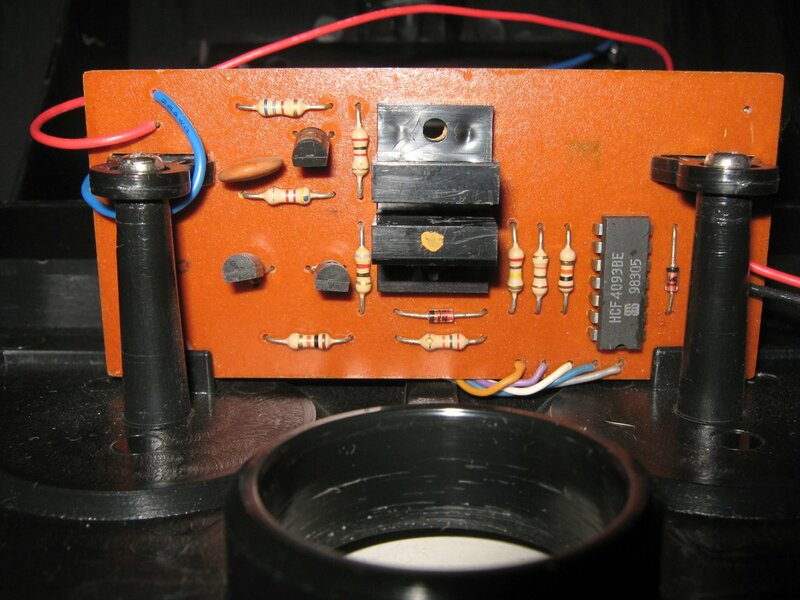 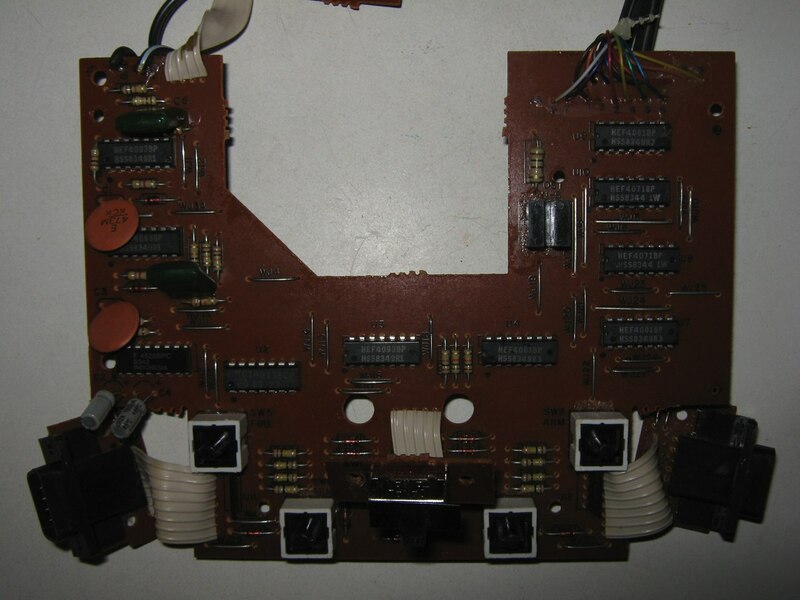 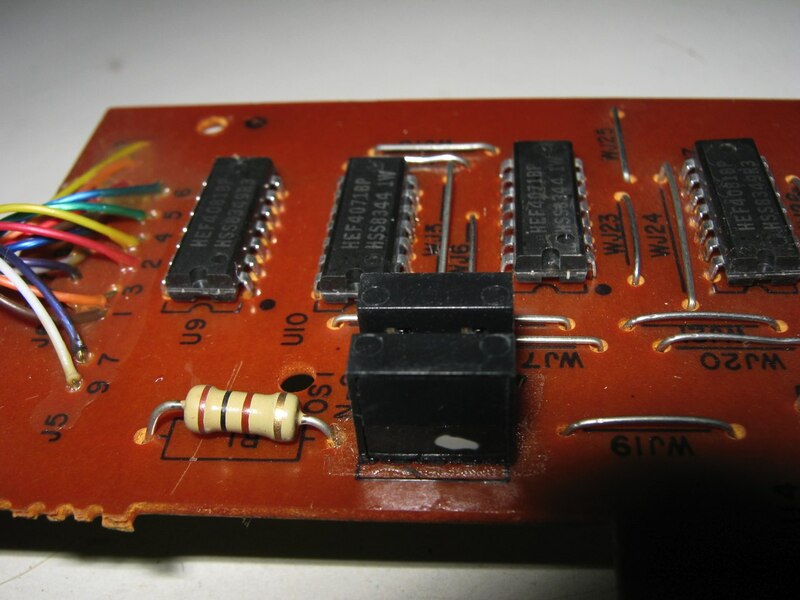 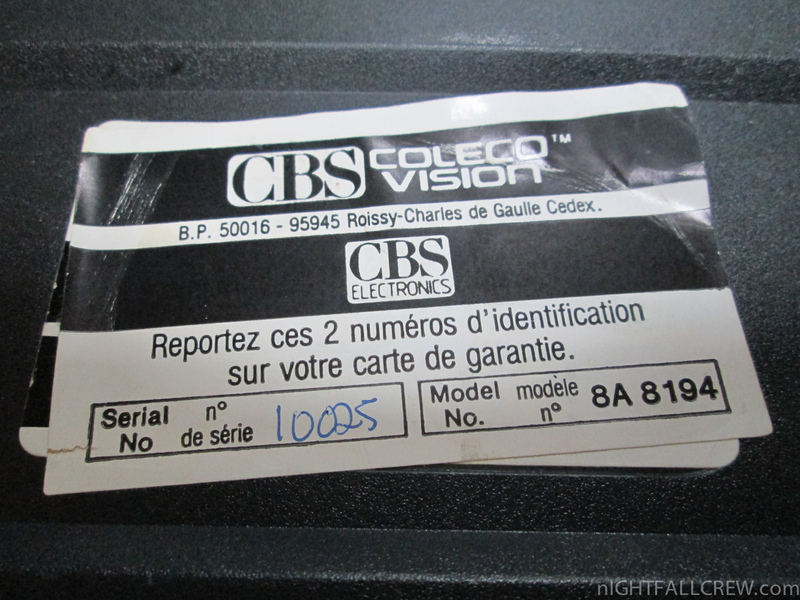 This version of Coleco Vision SECAM (Péritel/Euroconnector) uses a PCB 91162 REV D which differs from the classical version with PCB 91209 because integrates an internal video encoder from Y (BY) (RY) to RGB which is separate from the motherboard. 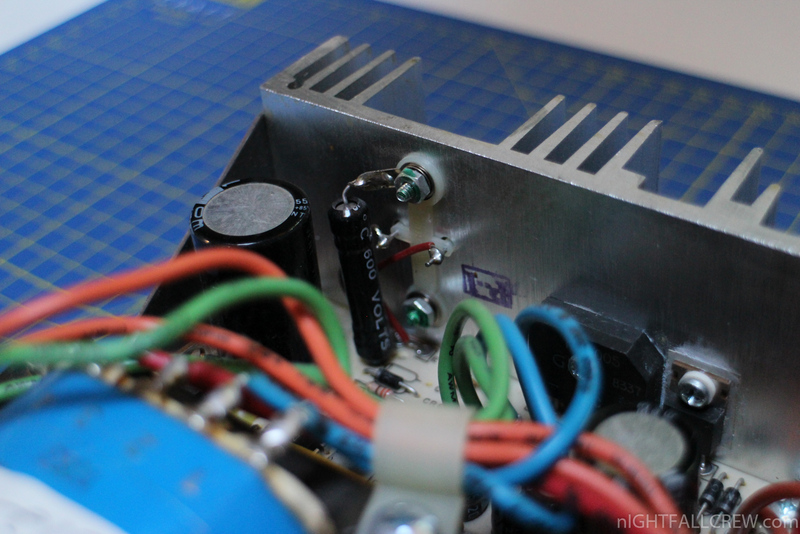 This makes think that in theory all PAL versions that use the VDP 9929A with PCB 91162 REV D and RF output can be modified to have a RGB output signal by adding this external video encoder. 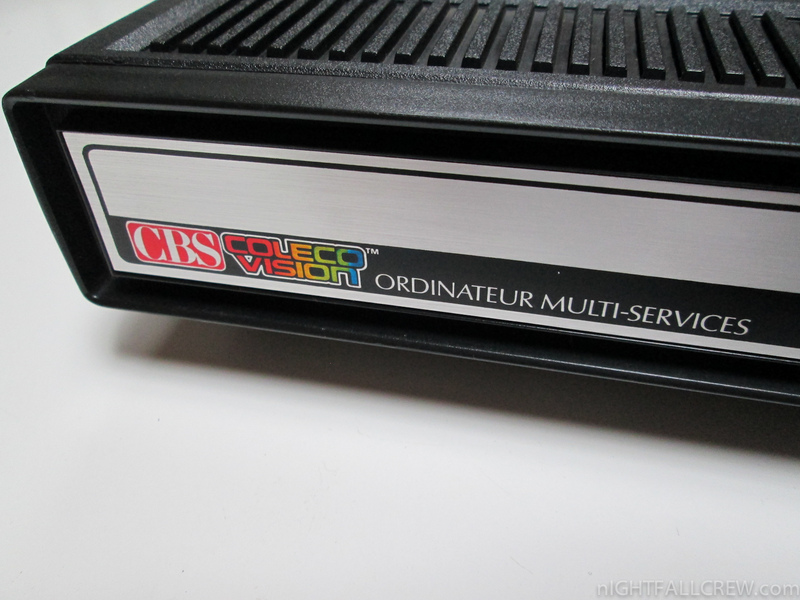 The ColecoVision is Coleco Industries’ second generation home video game console, which was released in August 1982. 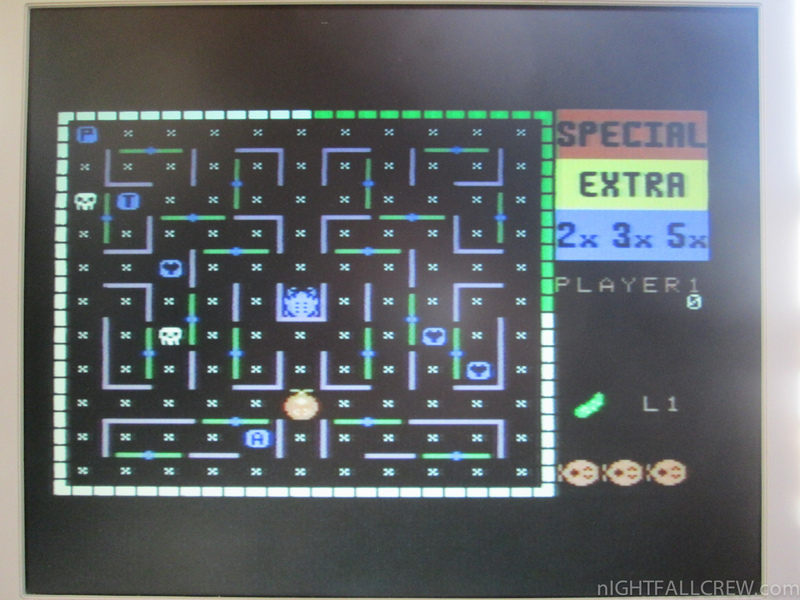 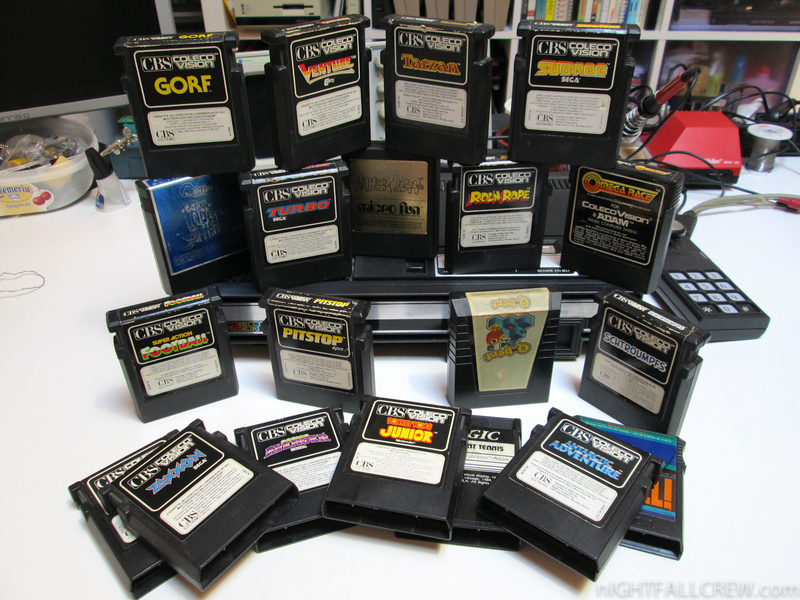 The ColecoVision offered near-arcade-quality graphics and gaming style along with the means to expand the system’s basic hardware. 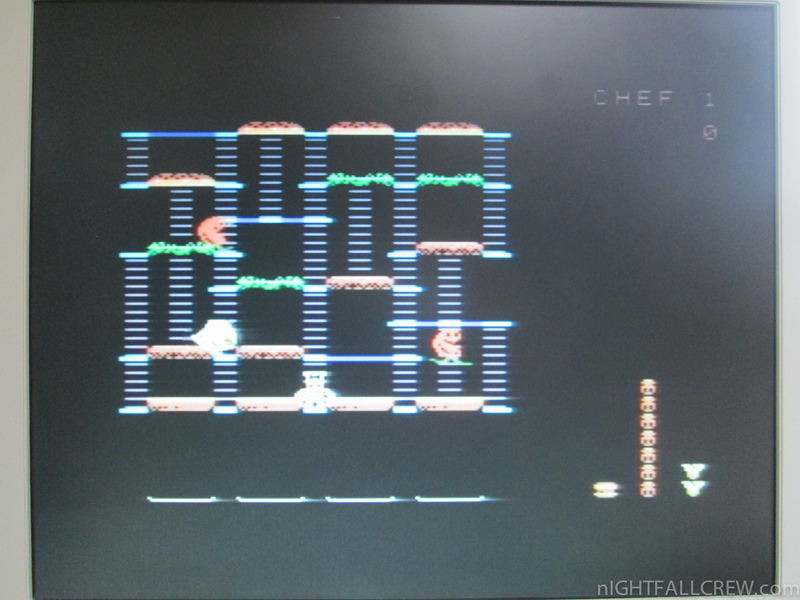 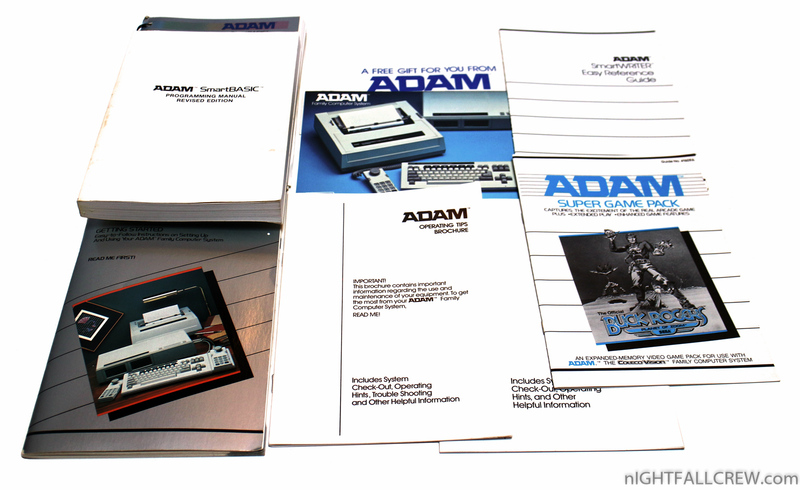 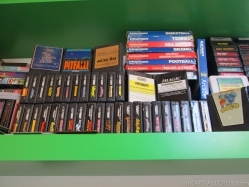 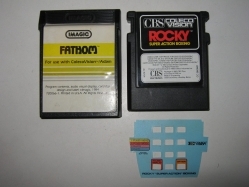 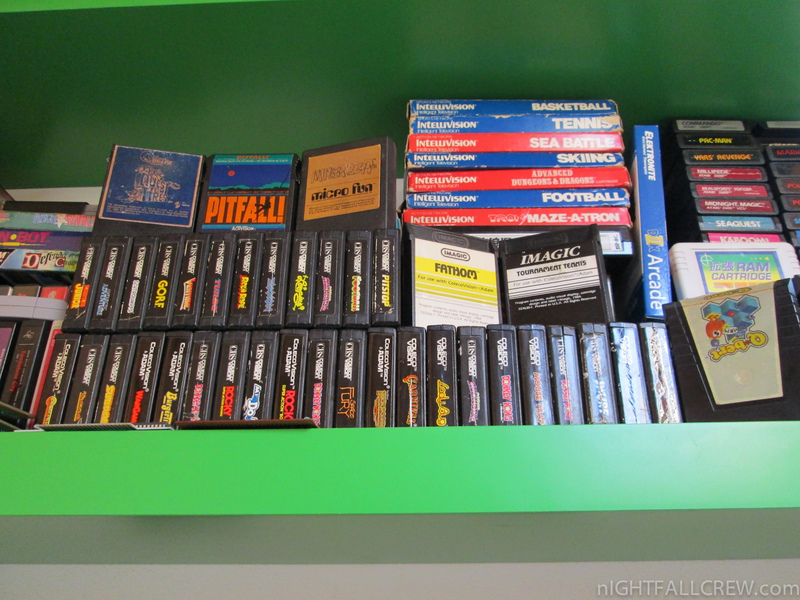 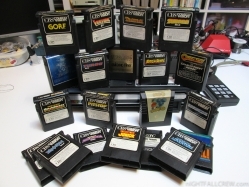 Released with a catalog of 12 launch titles, with an additional 10 games announced for 1982, approximately 145 titles in total were published as ROM cartridges for the system between 1982 and 1984. 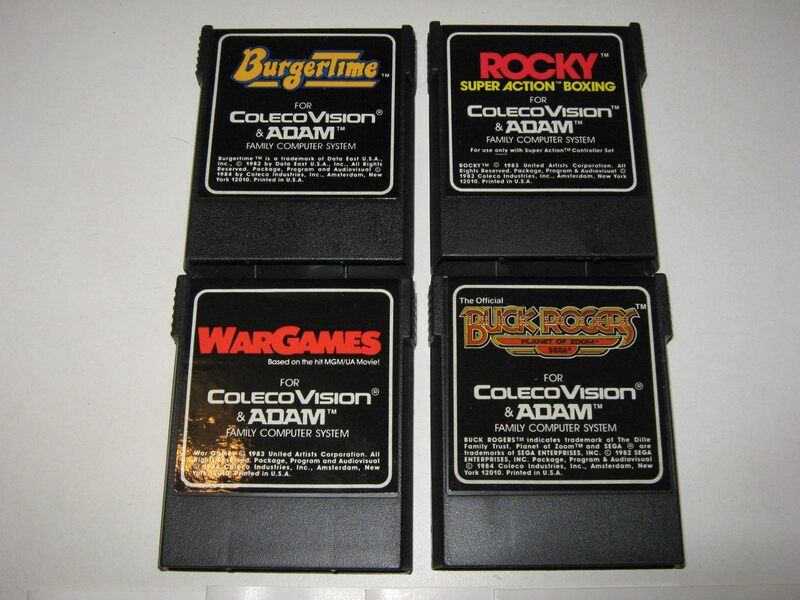 River West Brands currently owns the ColecoVision brand name. 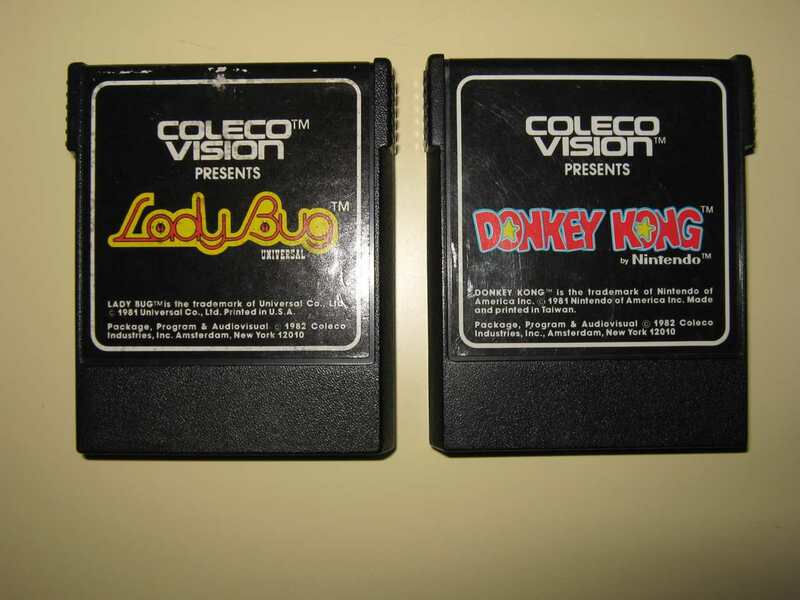 Coleco licensed Nintendo’s Donkey Kong as the official pack-in cartridge for all ColecoVision consoles, helping to boost the console’s popularity. 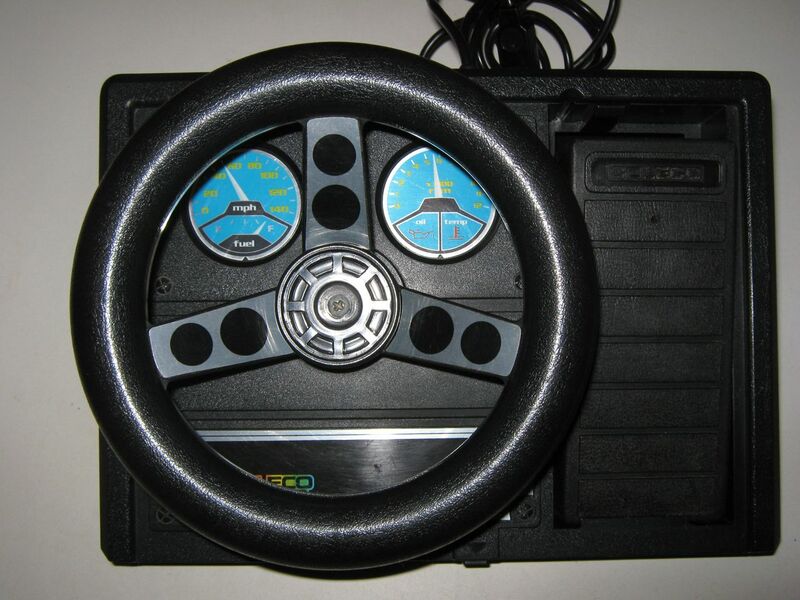 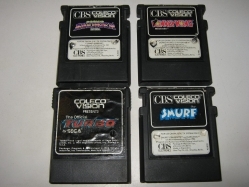 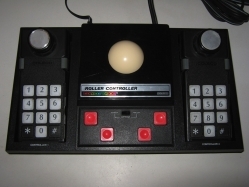 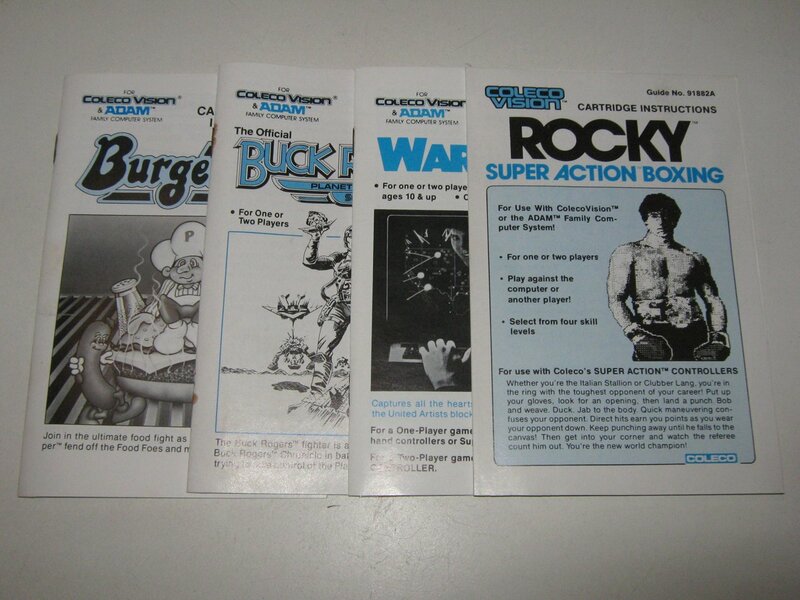 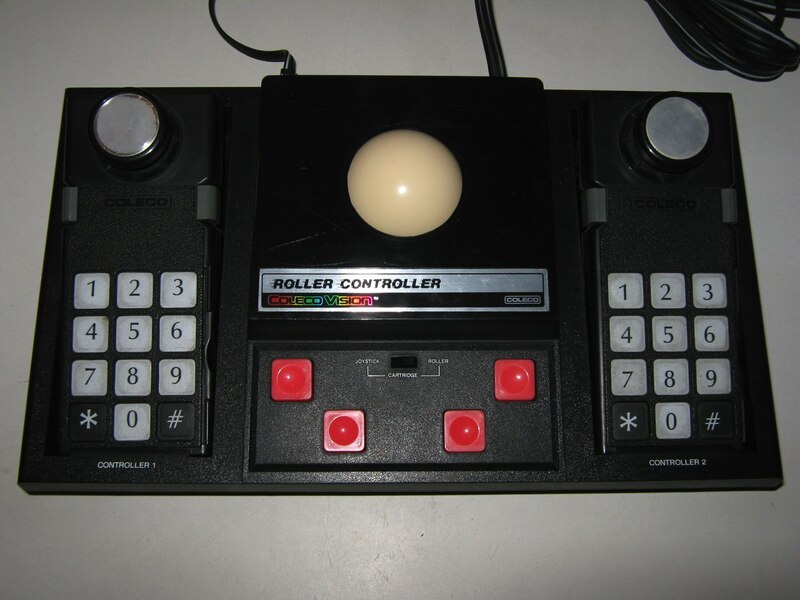 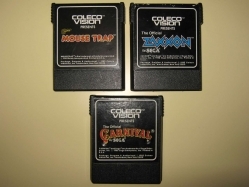 By Christmas of 1982, Coleco had sold more than 500,000 units, in part on the strength of its bundled game. 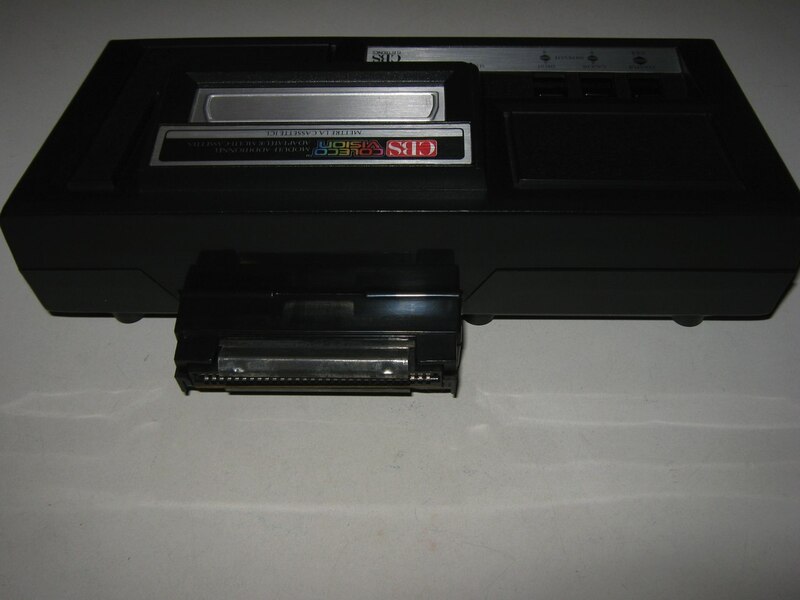 The ColecoVision’s main competitor was the arguably more advanced but less commercially successful Atari 5200. 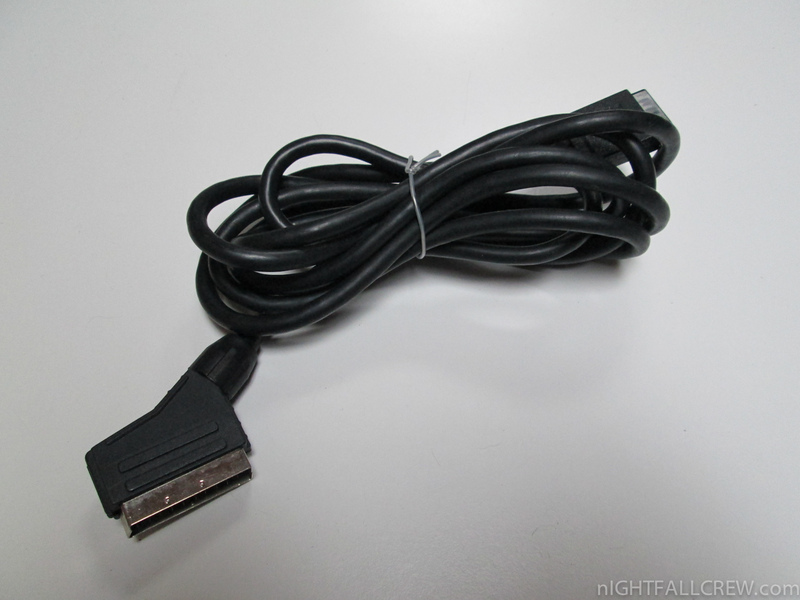 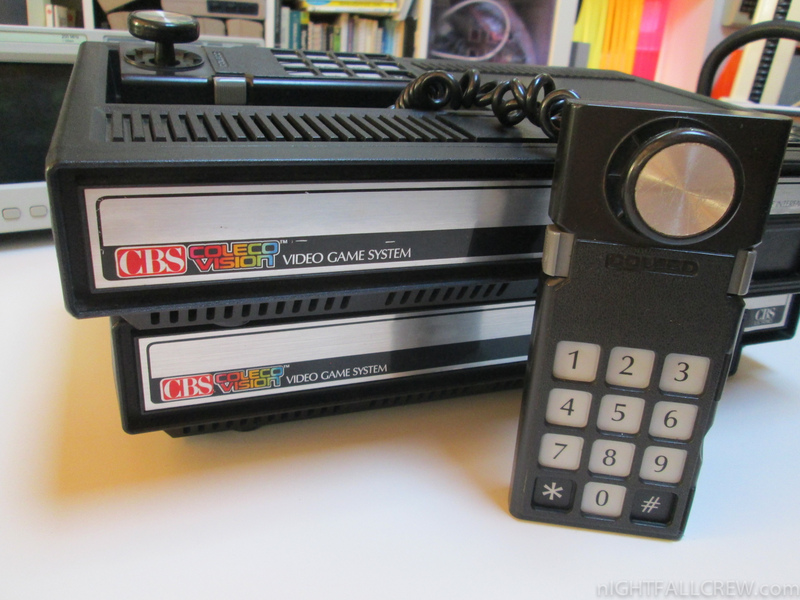 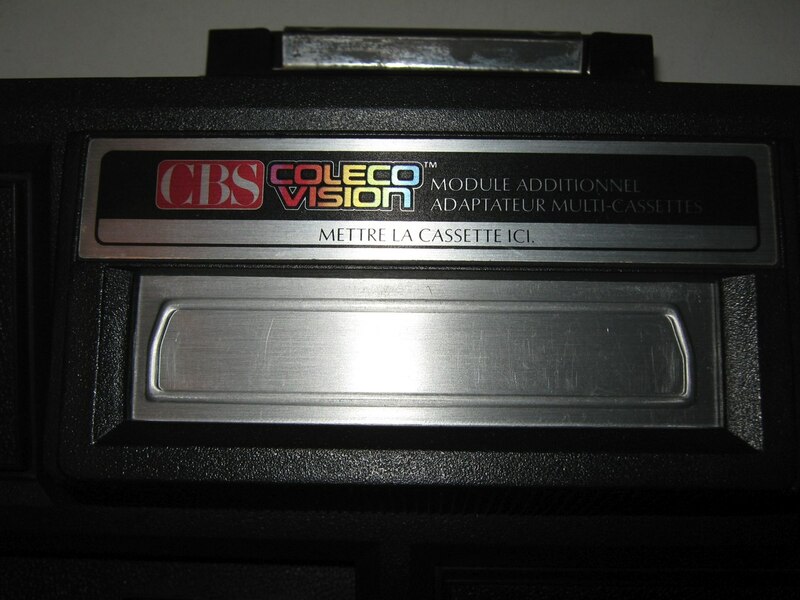 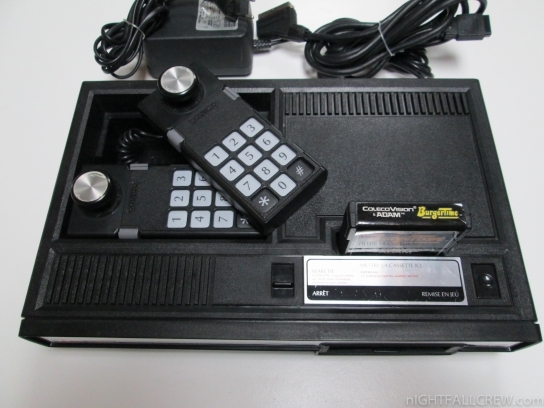 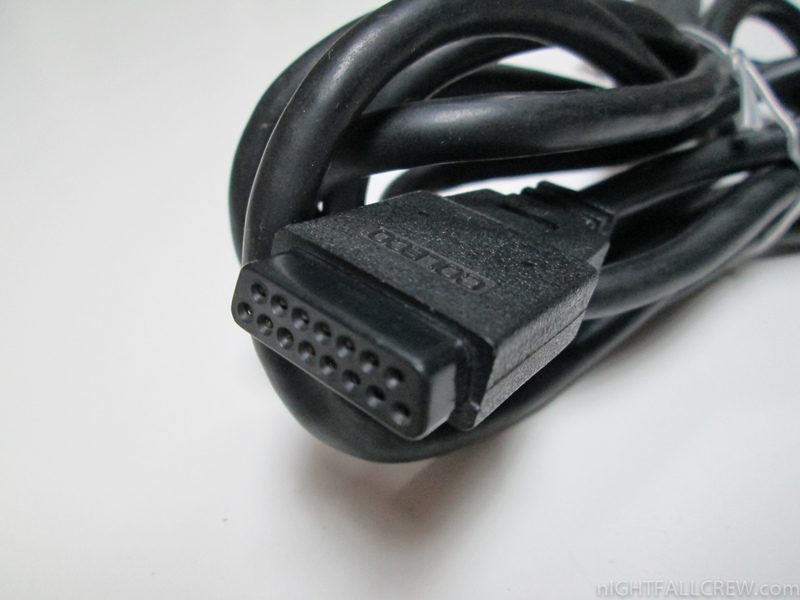 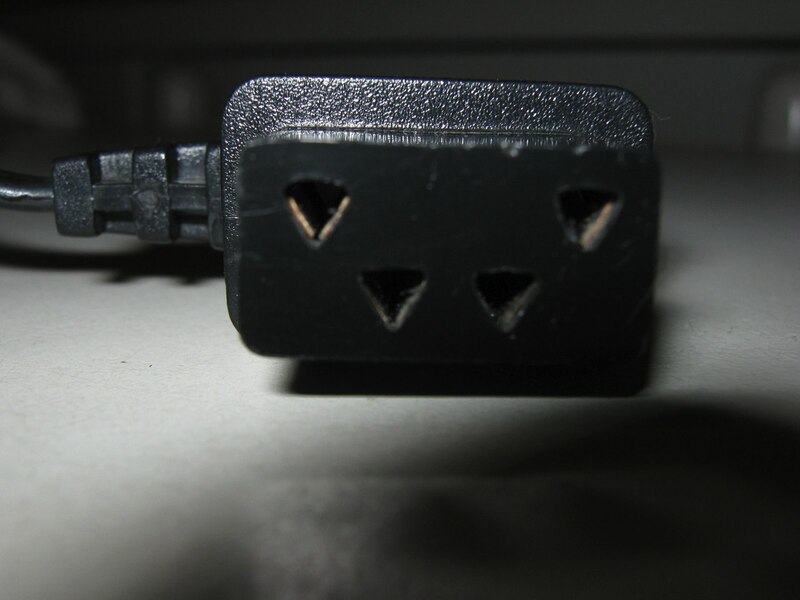 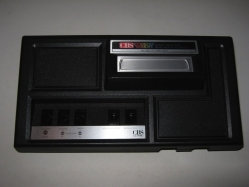 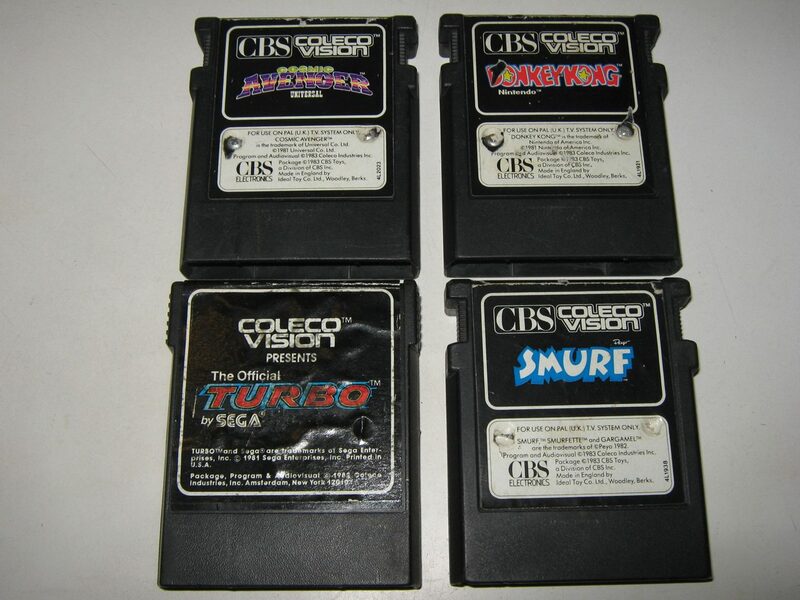 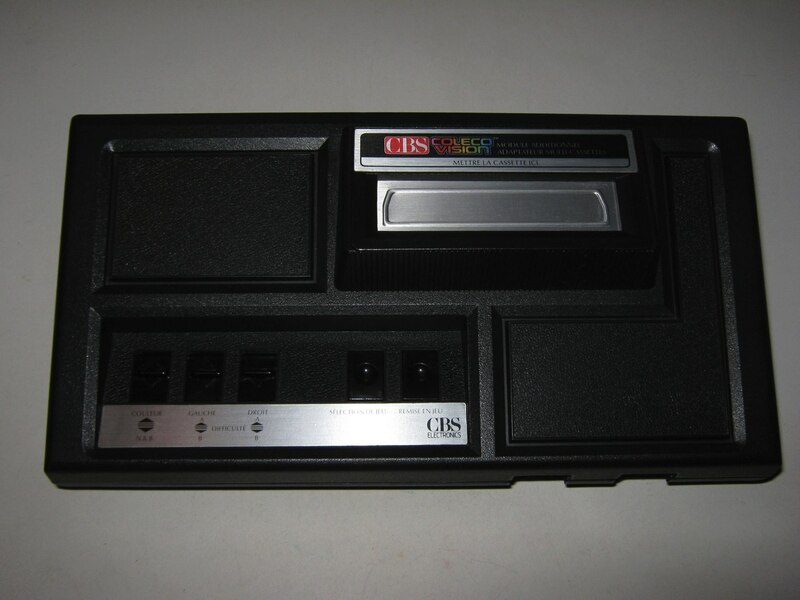 The ColecoVision was distributed by CBS Electronics outside of North America, and was branded the CBS ColecoVision. 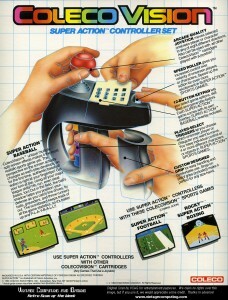 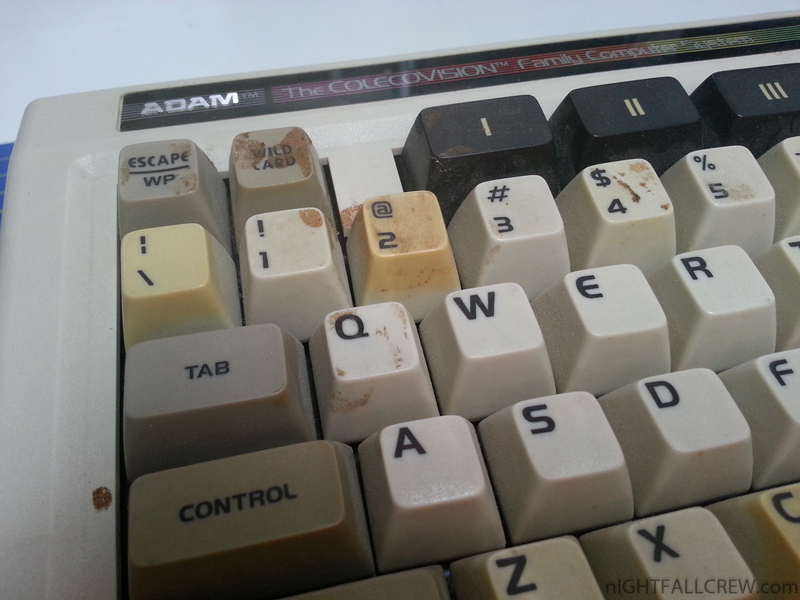 Sales quickly passed 1 million in early 1983, before the video game crash of 1983. 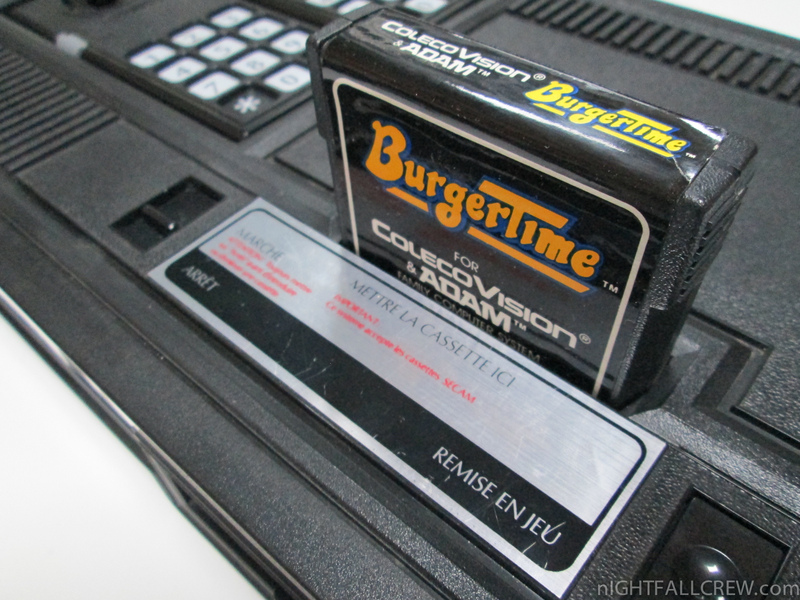 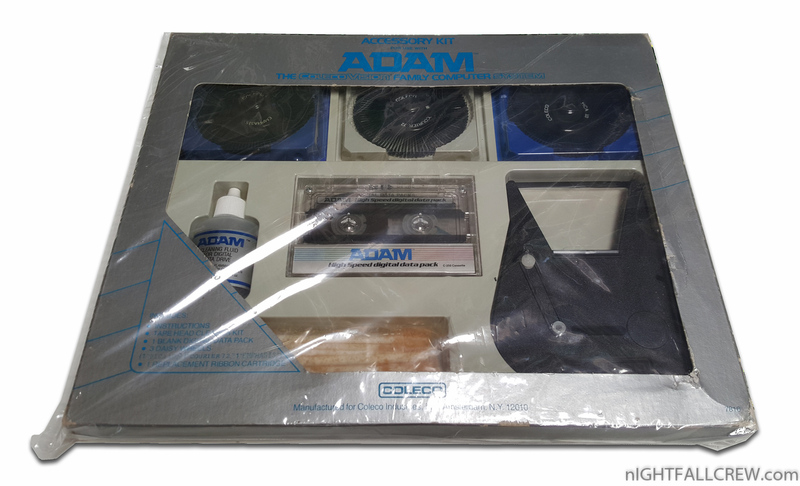 By the beginning of 1984, quarterly sales of the ColecoVision had dramatically decreased. 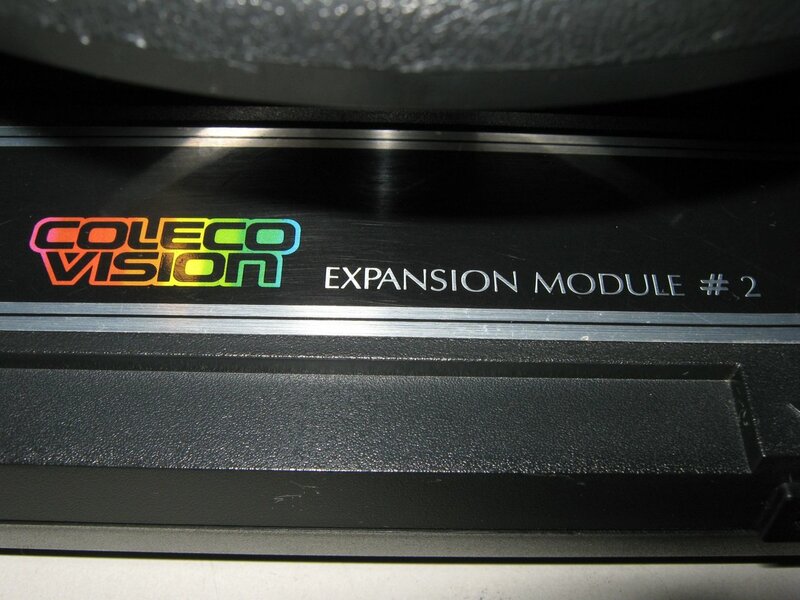 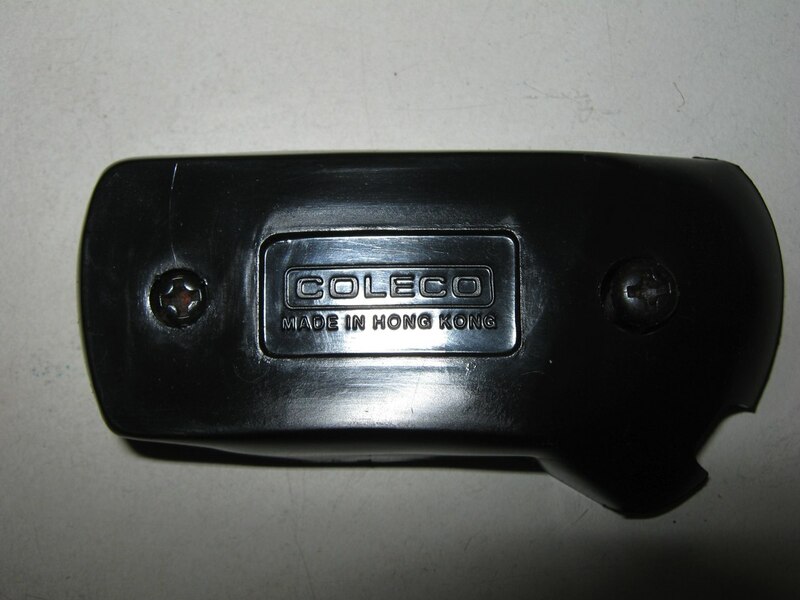 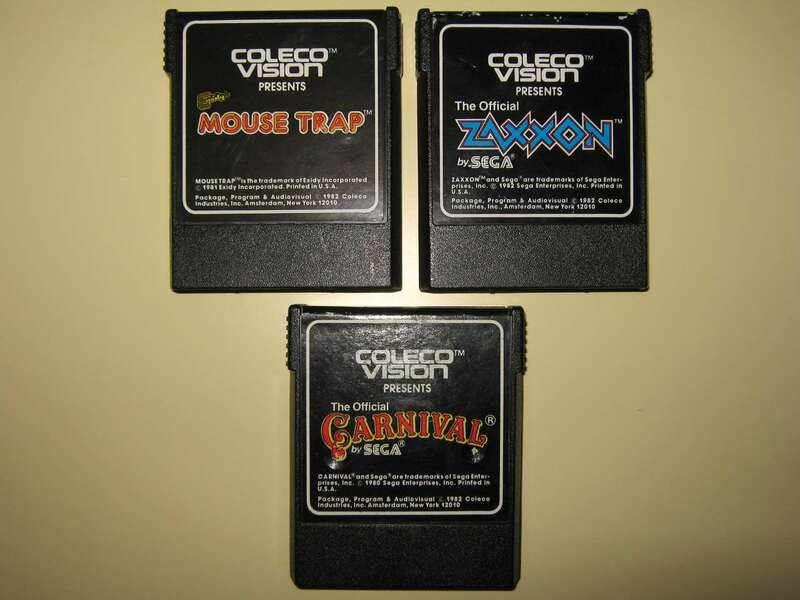 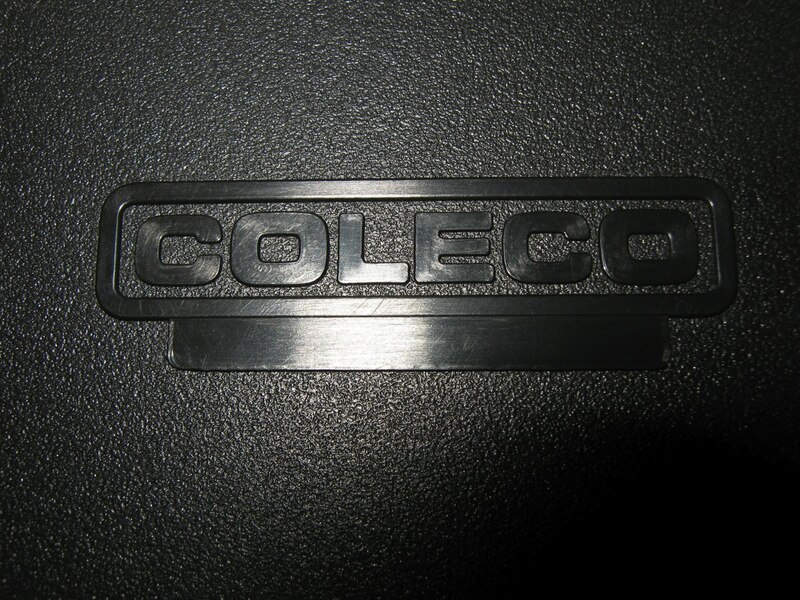 Over the next 18 months, the Coleco company ramped down its video game division, ultimately withdrawing from the video game market by the end of the summer of 1985. 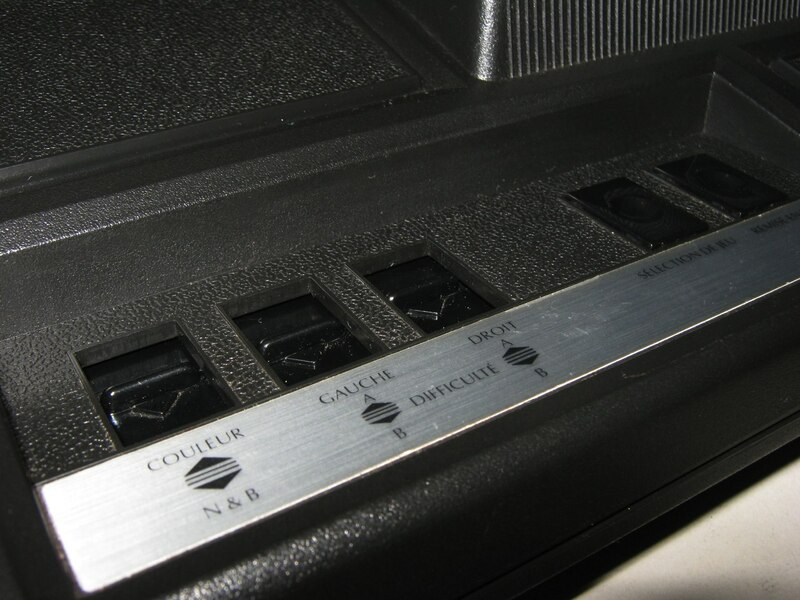 The ColecoVision was officially discontinued by October 1985. 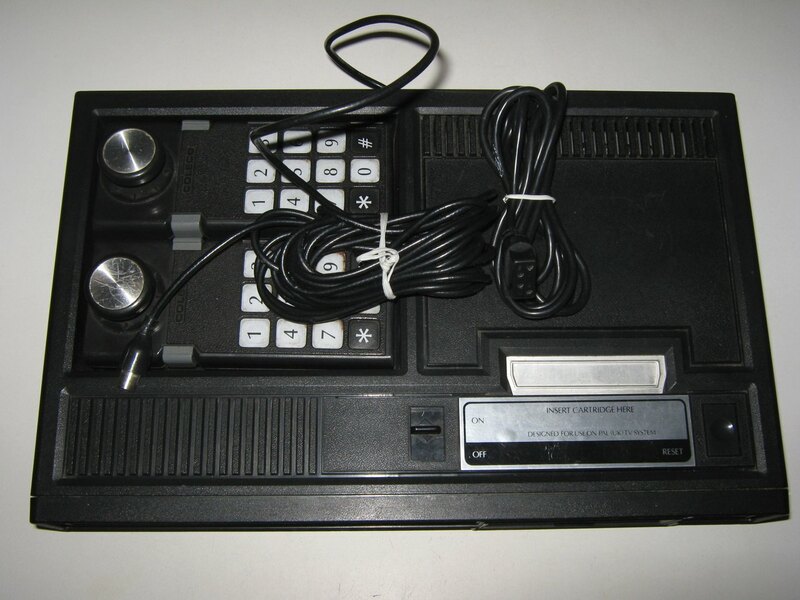 Total sales of the ColecoVision are uncertain but were ultimately in excess of 2 million units, as sales had reached that number by the spring of 1984, while the console continued to sell modestly up until its discontinuation the following year. 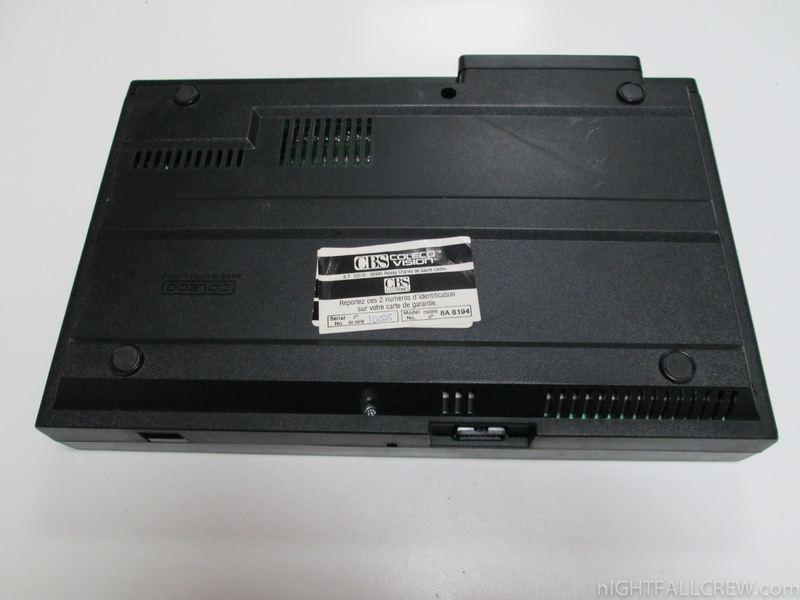 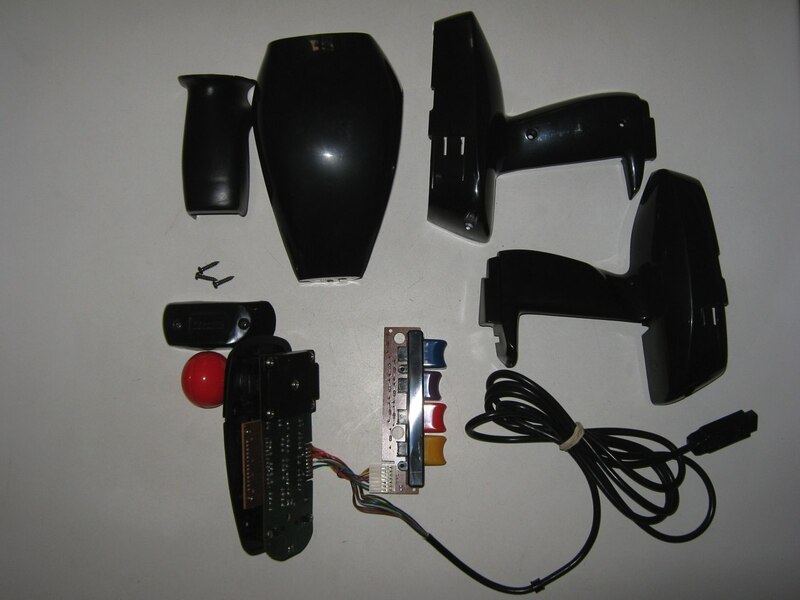 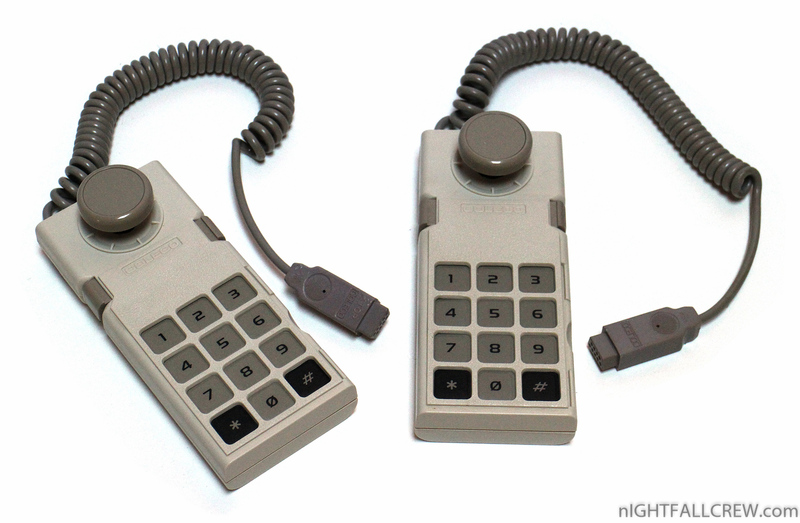 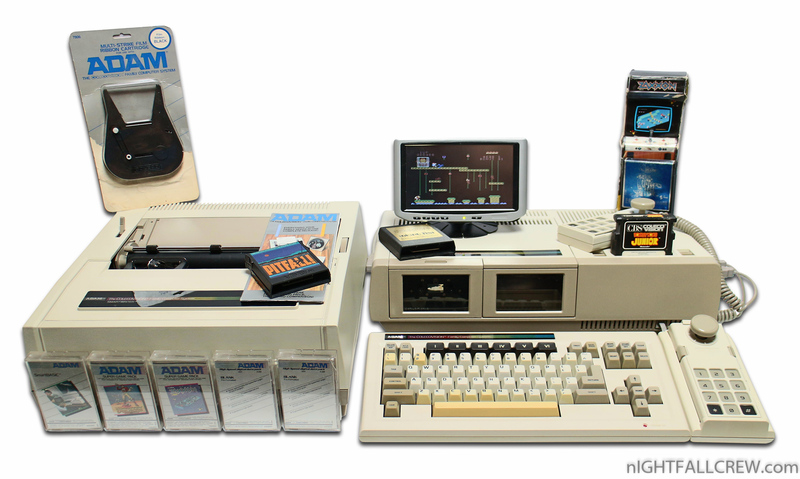 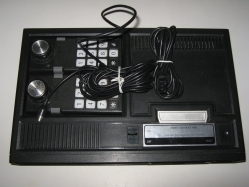 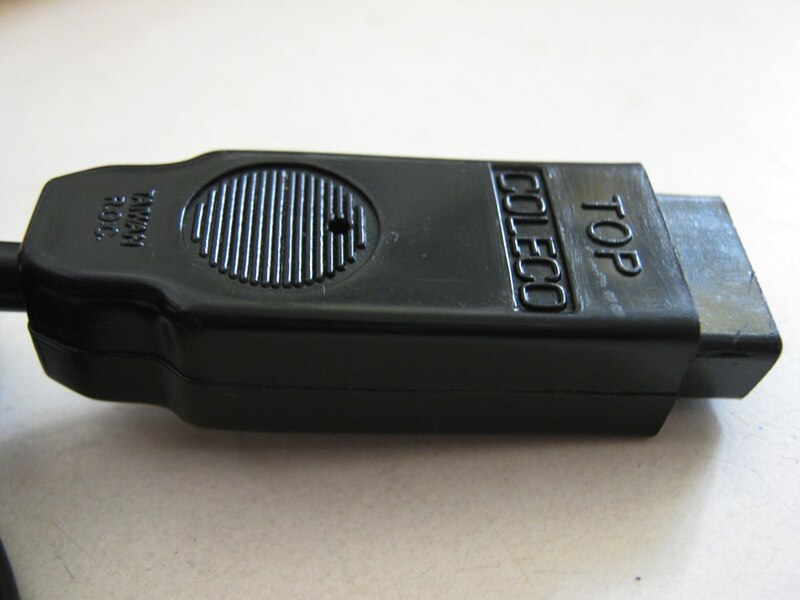 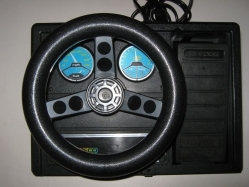 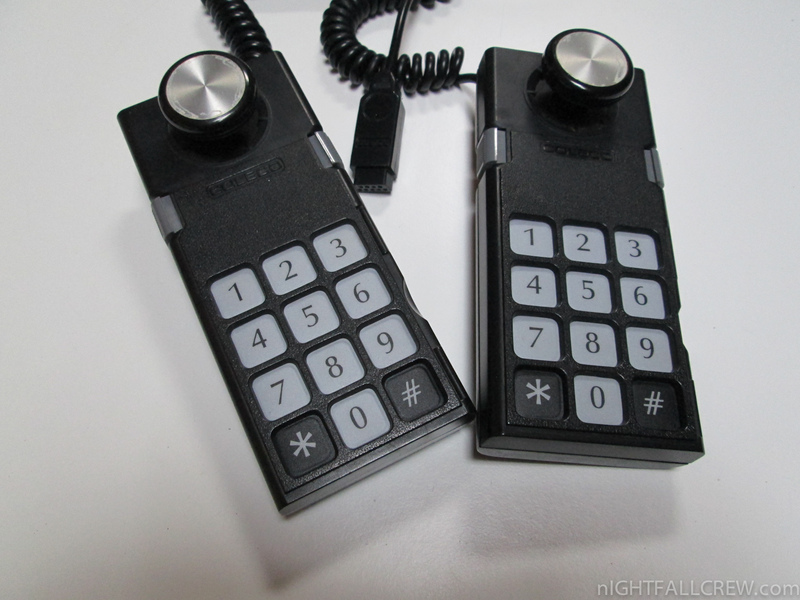 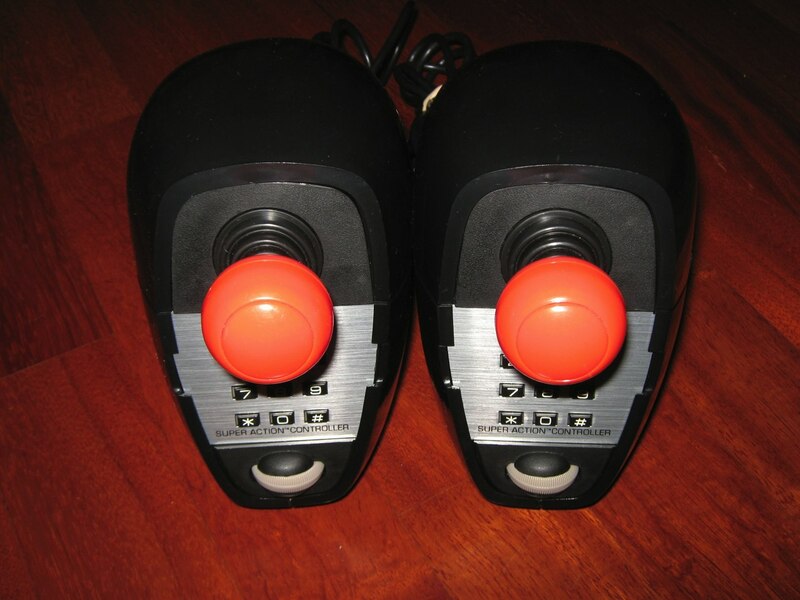 In 1986, Bit Corporation produced a ColecoVision clone called the Dina, which was sold in the United States by Telegames as the Telegames Personal Arcade. 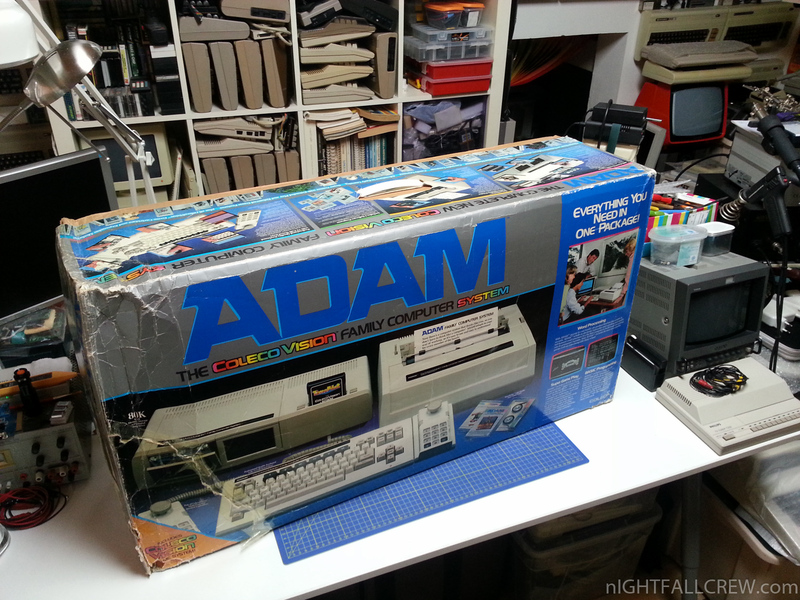 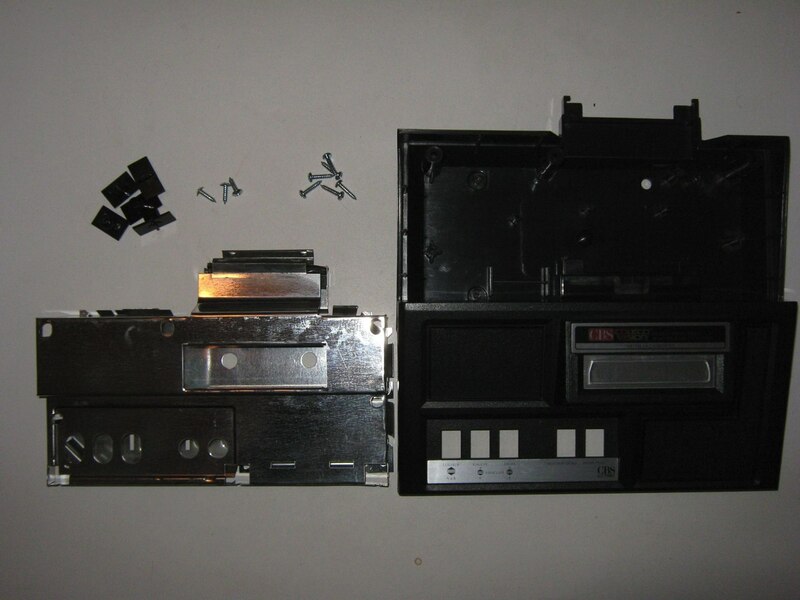 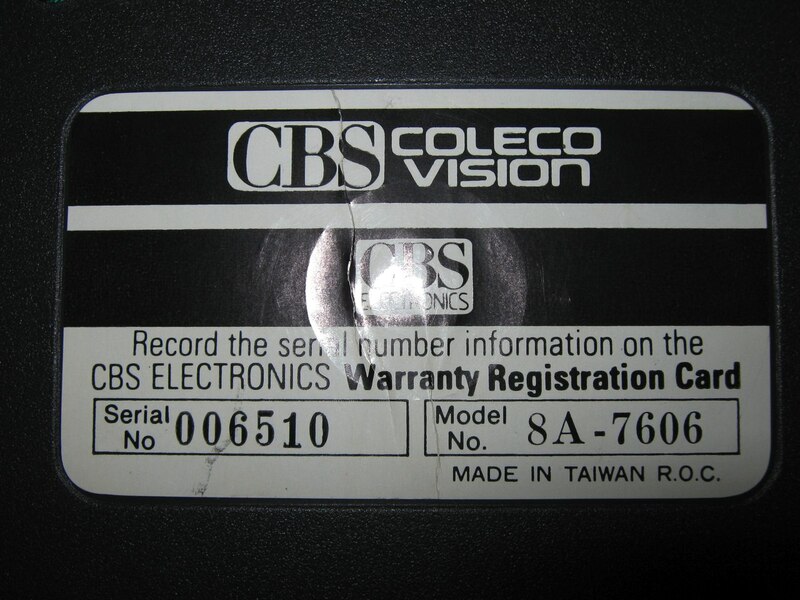 I have decided to repair my Coleco Vision Secam version (RGB) purchased some years ago in a full working state, today is died. 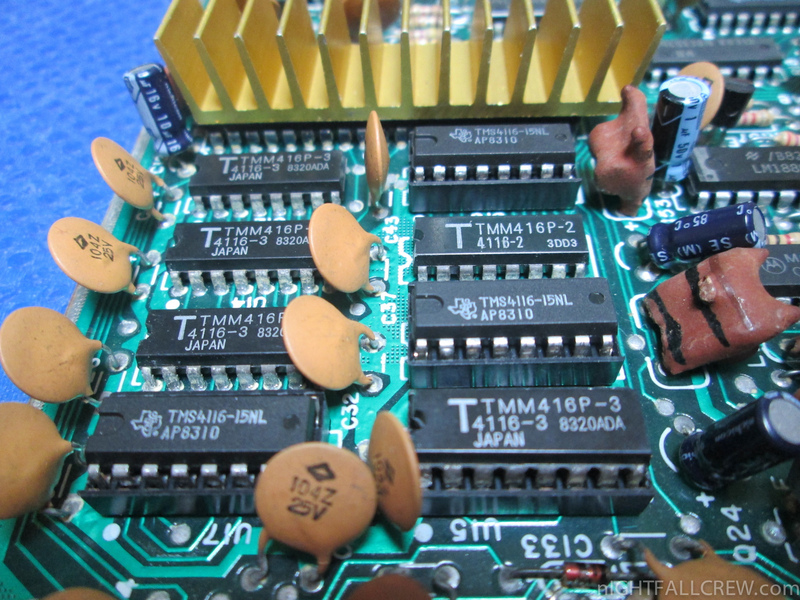 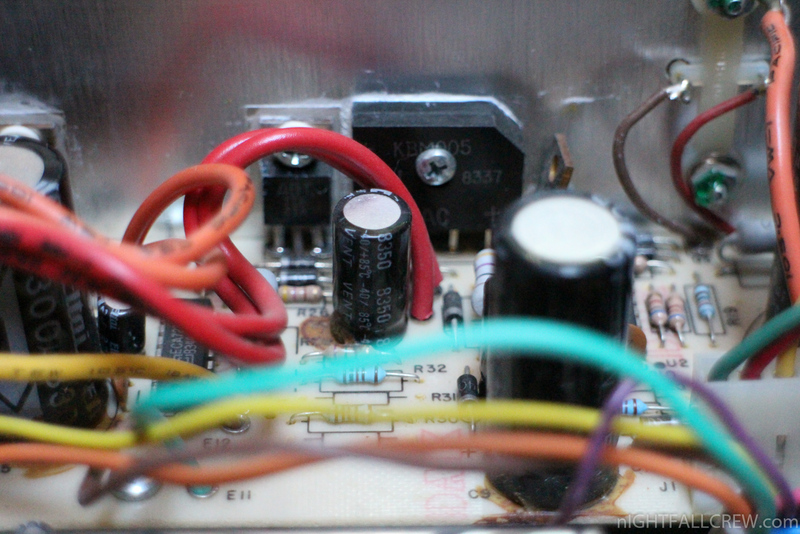 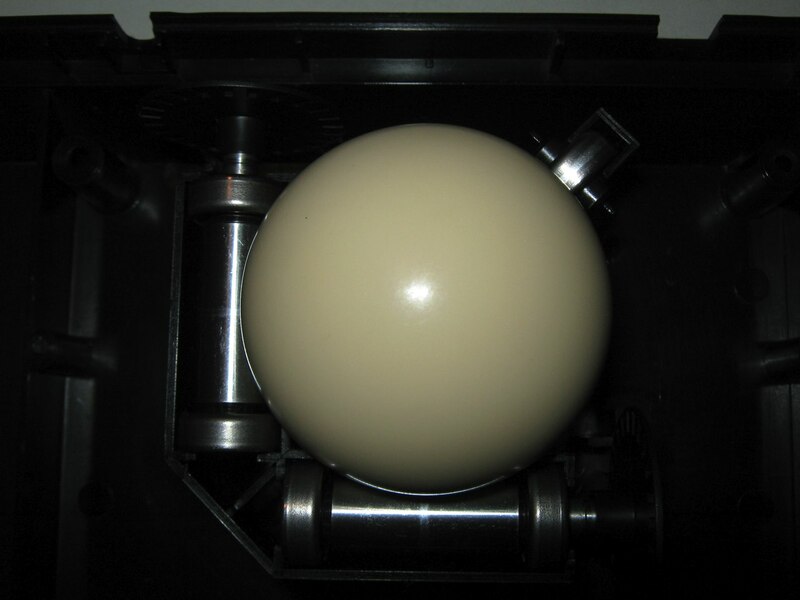 Below a description of the defect and of components being replaced. 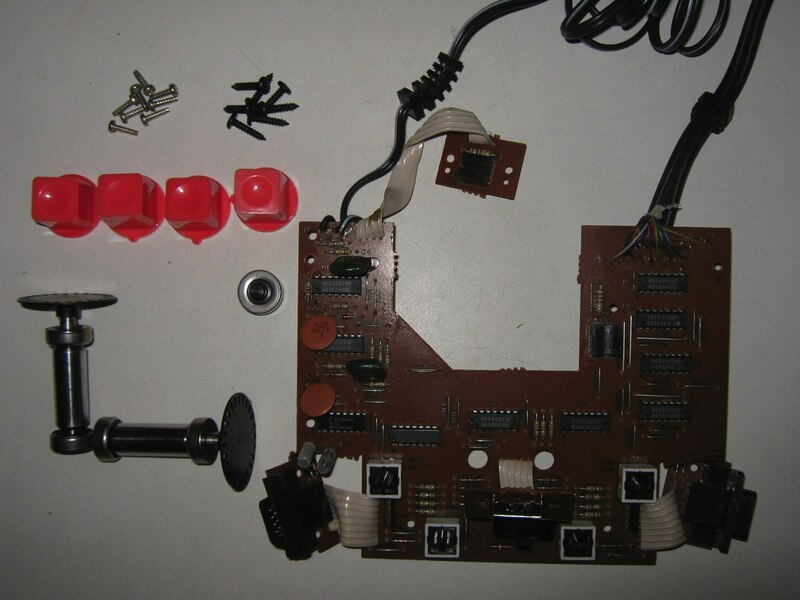 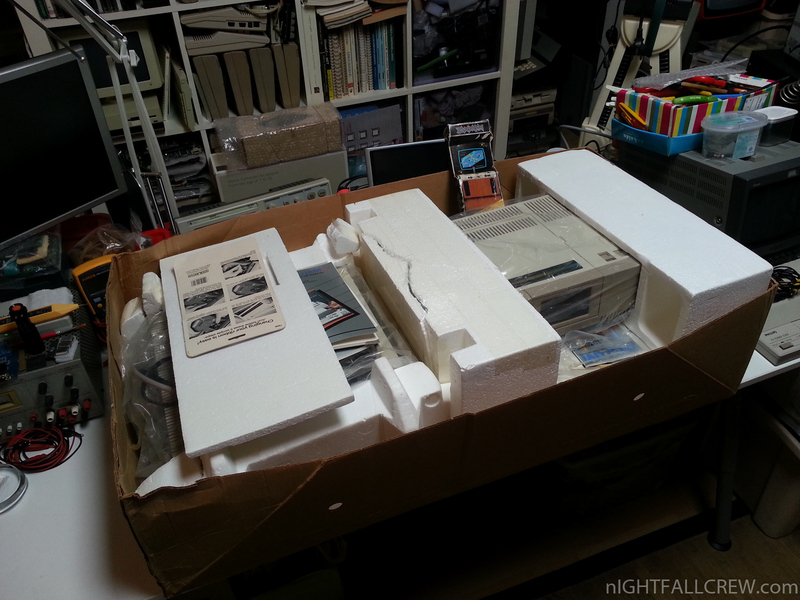 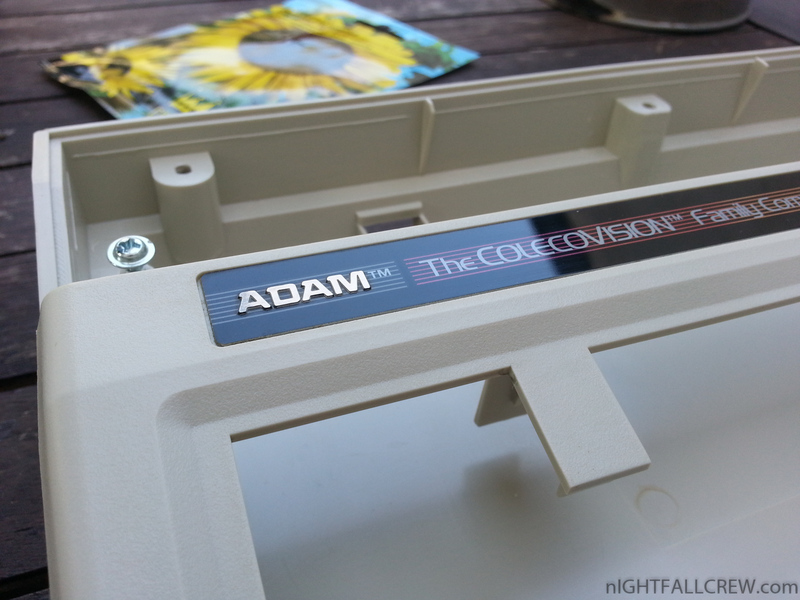 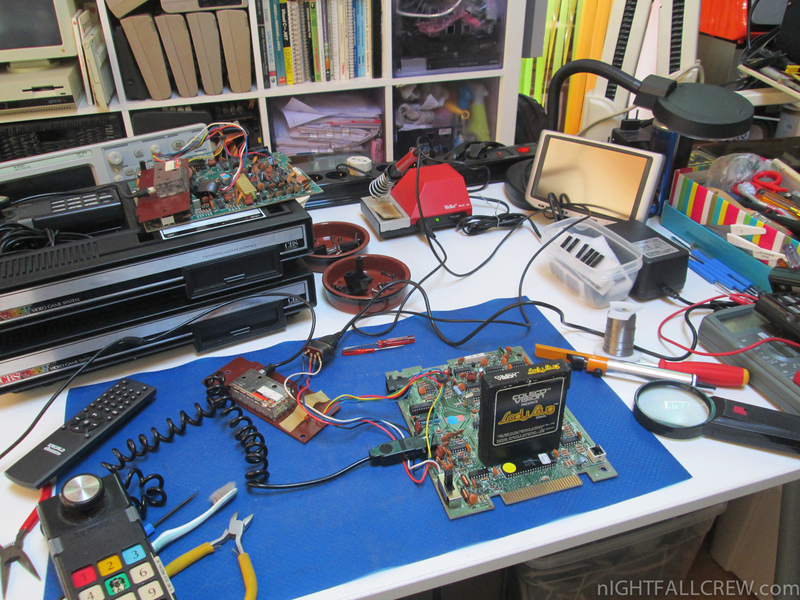 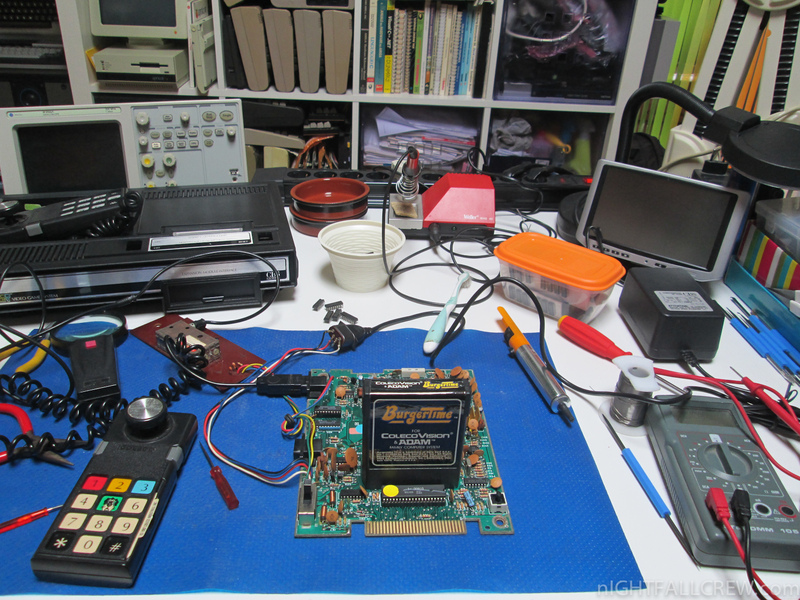 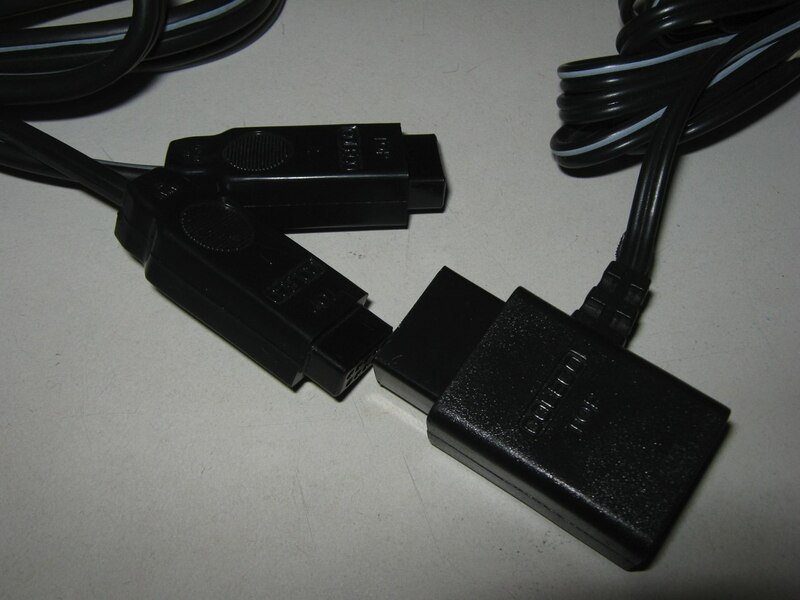 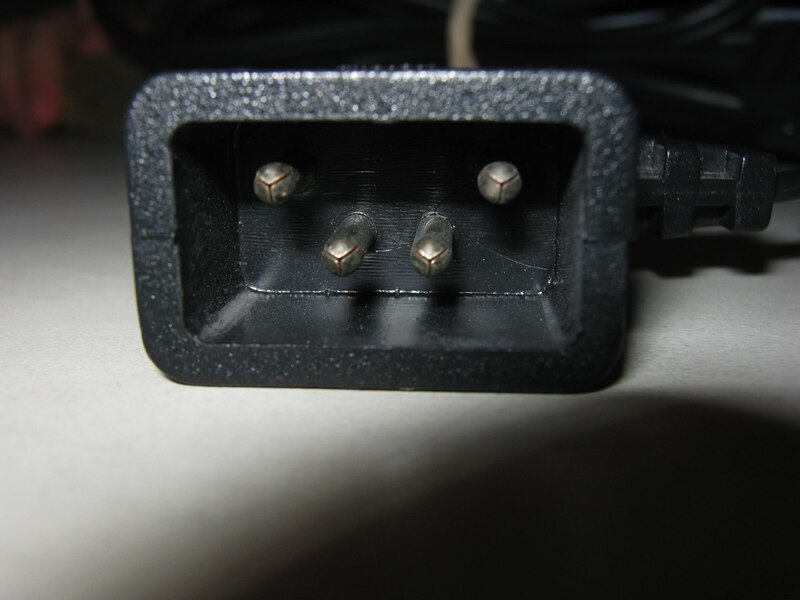 I have decided to repair my two ColecoVision consoles bought like non-functioning many years ago. 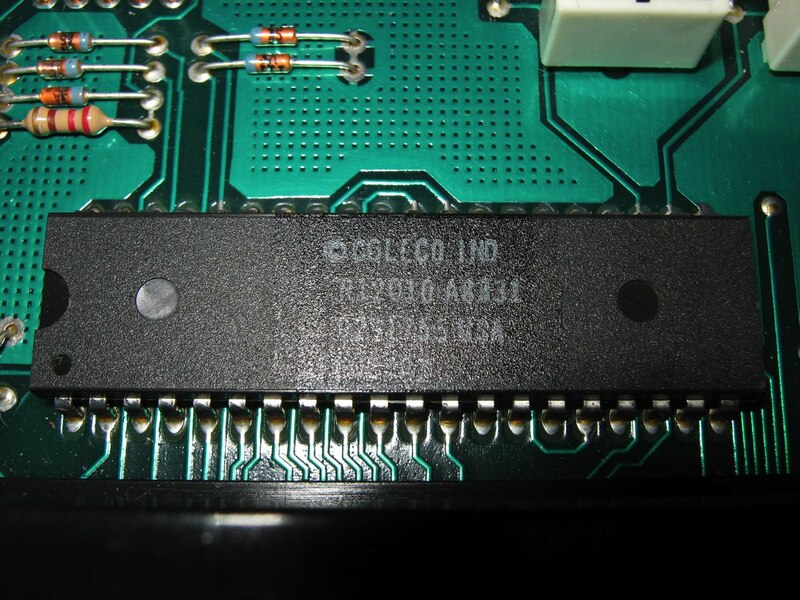 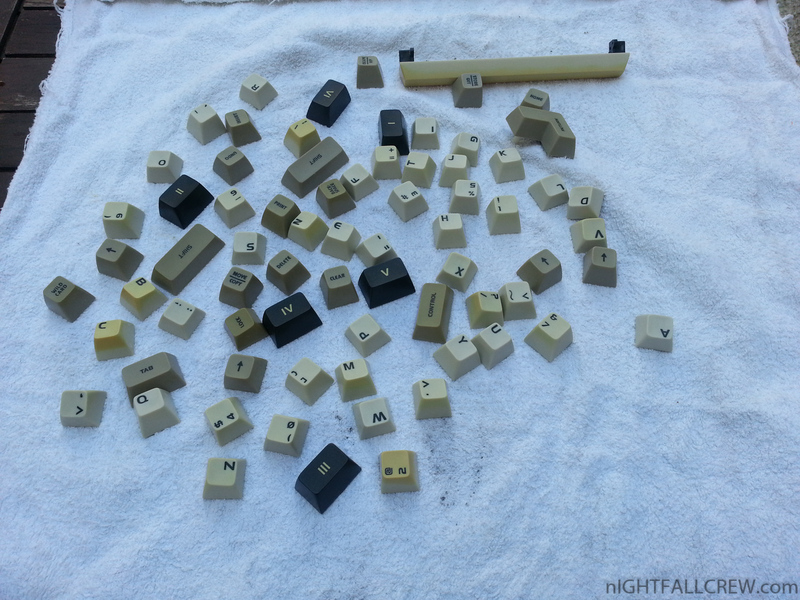 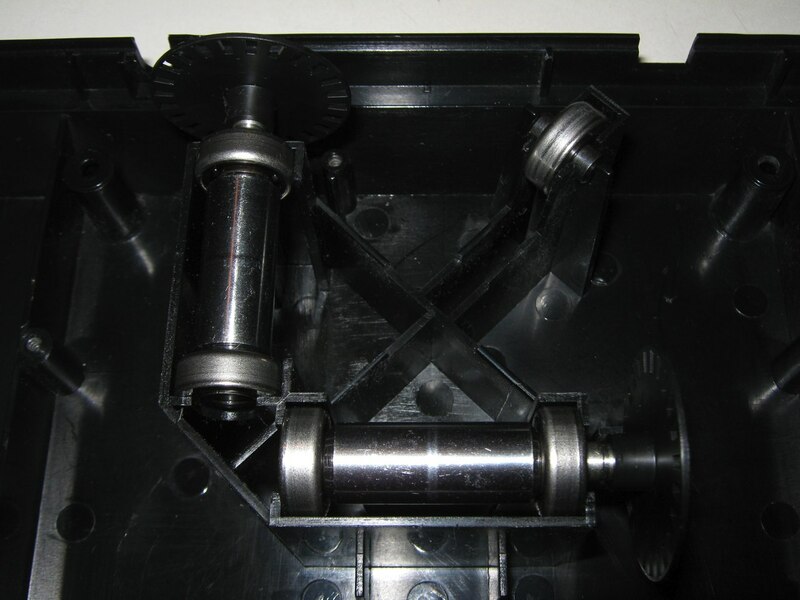 Below a description of the defects and of components being replaced.